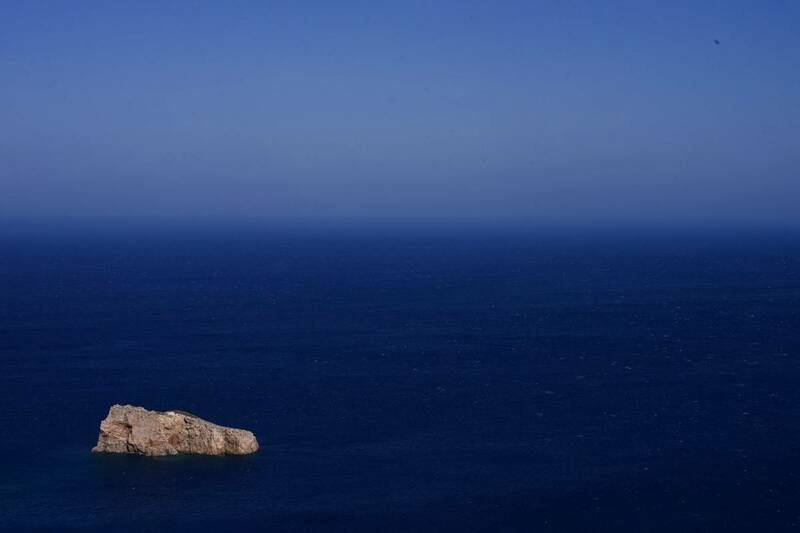 Blue skies and seas. 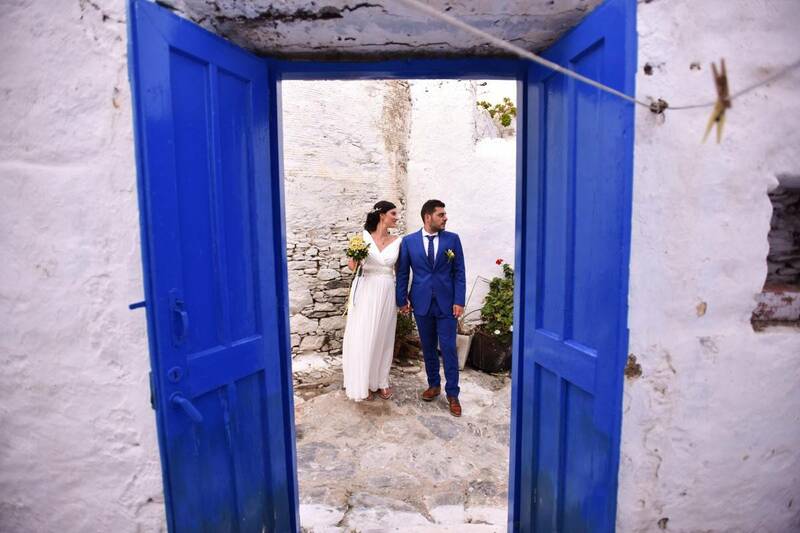 Blue doors and pristine shutters. 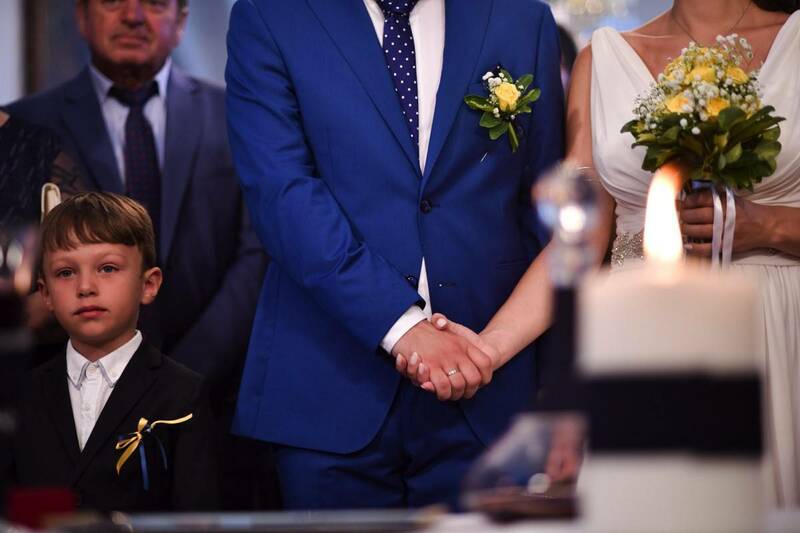 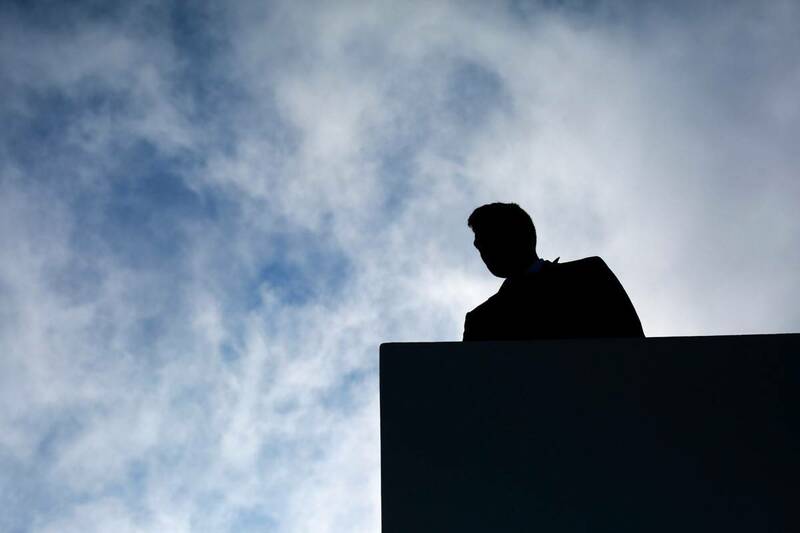 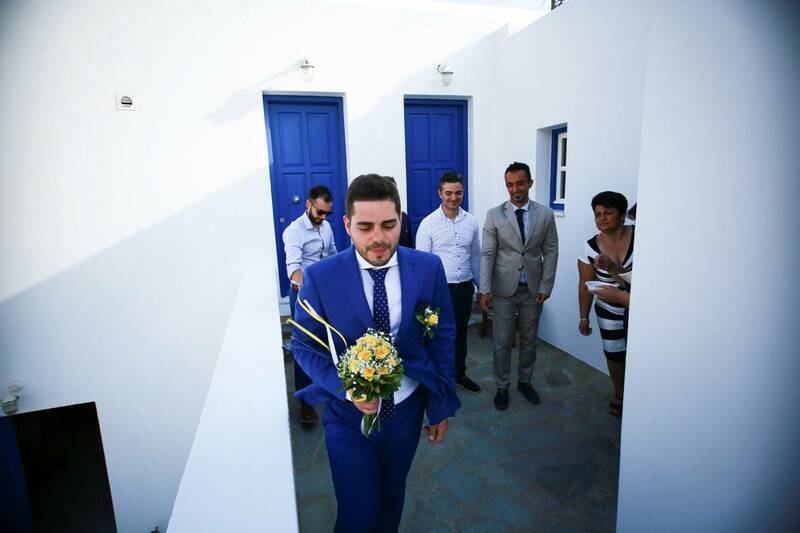 The groom’s suit, a shade of blue. 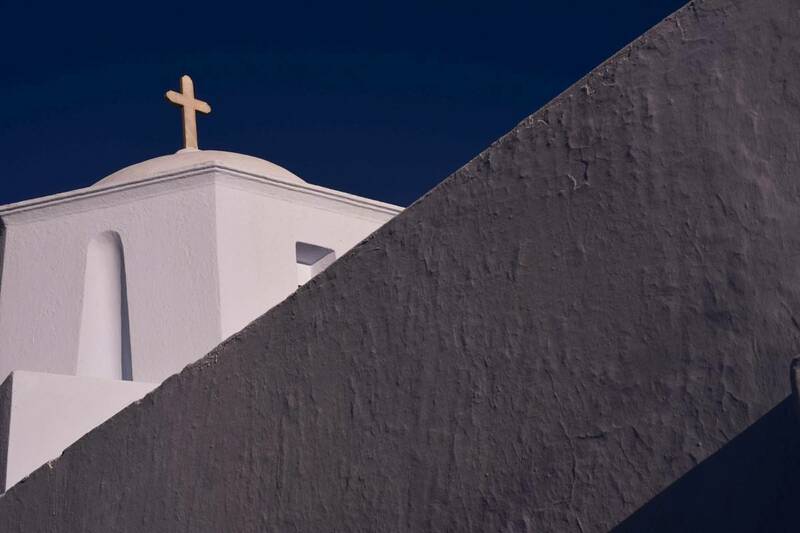 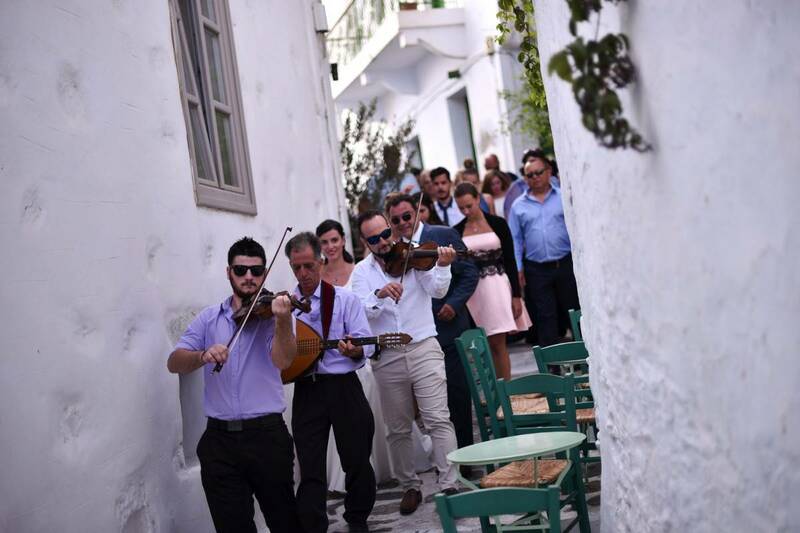 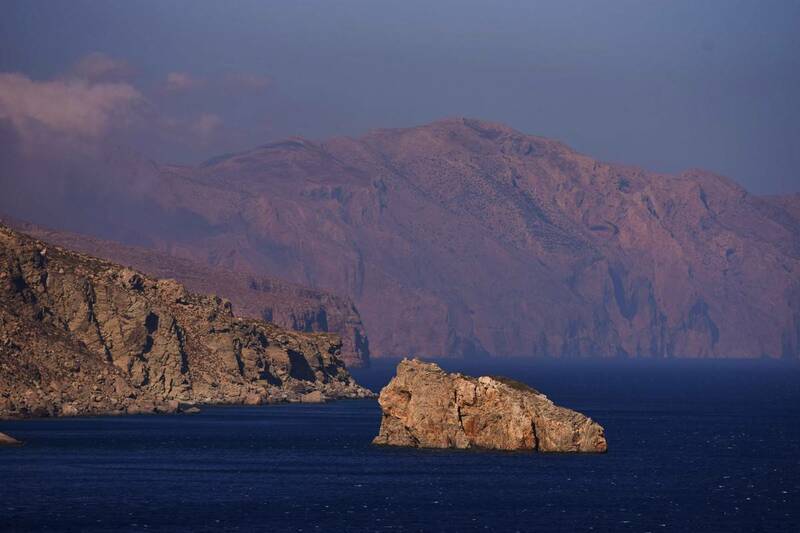 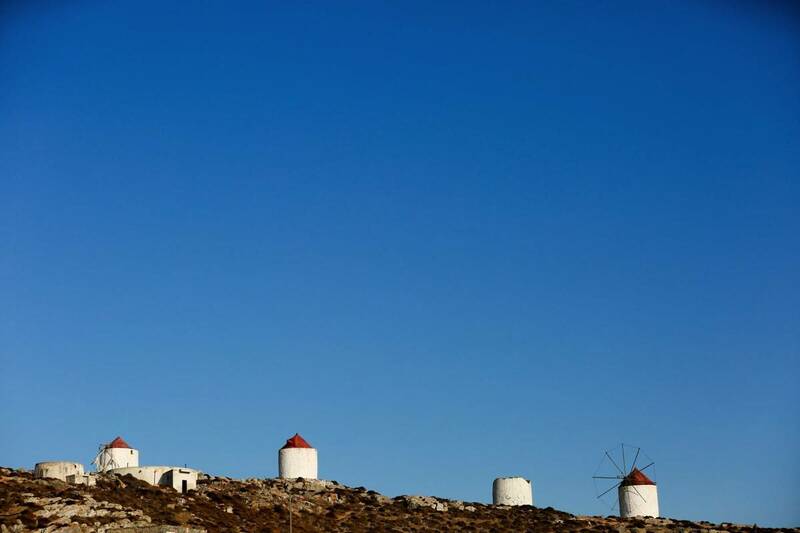 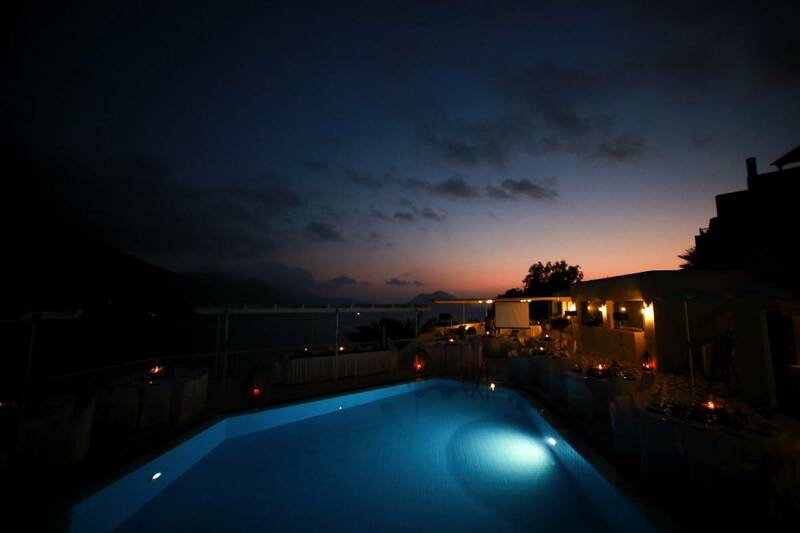 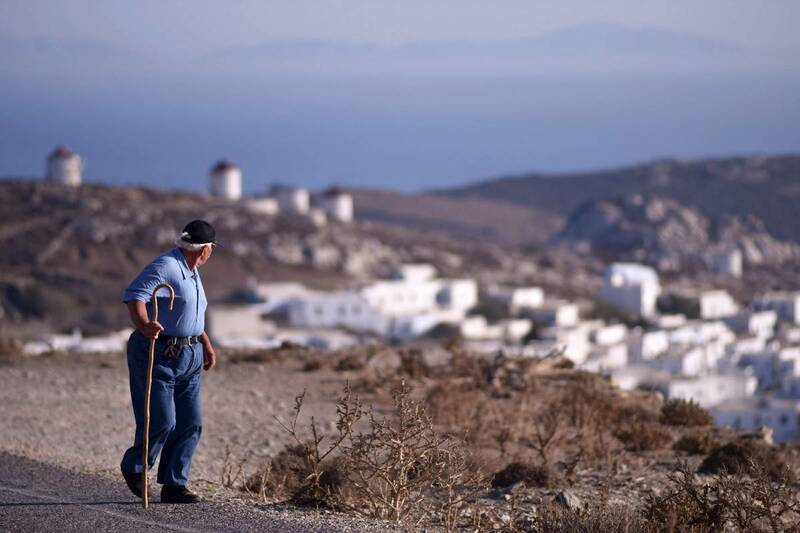 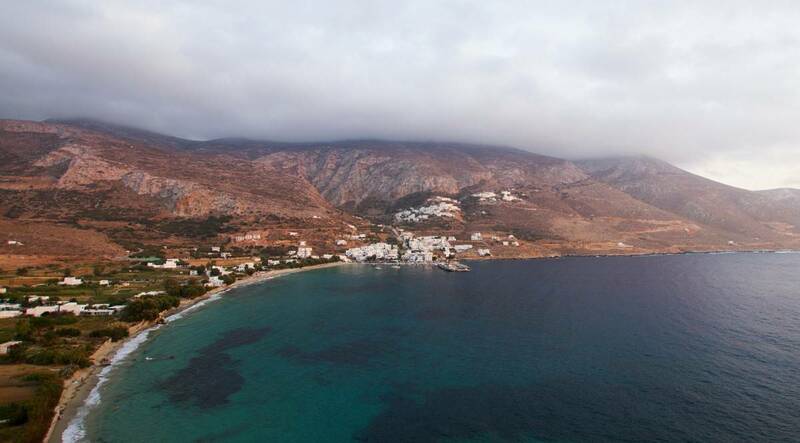 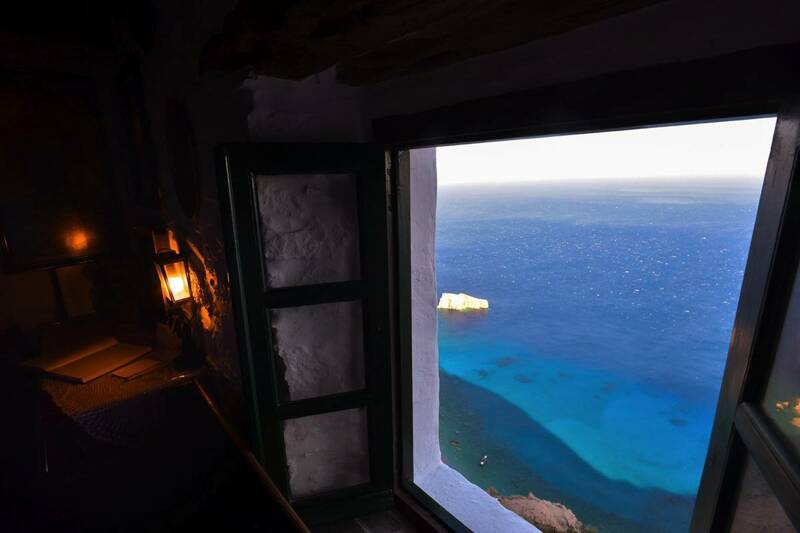 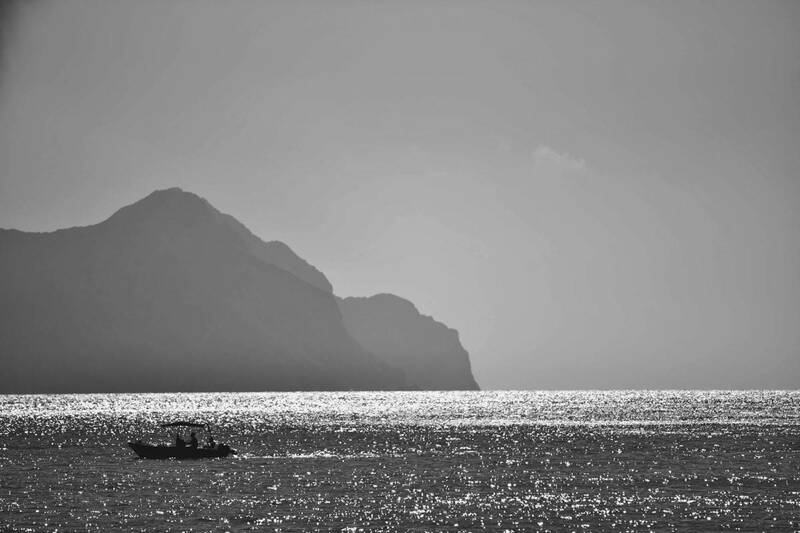 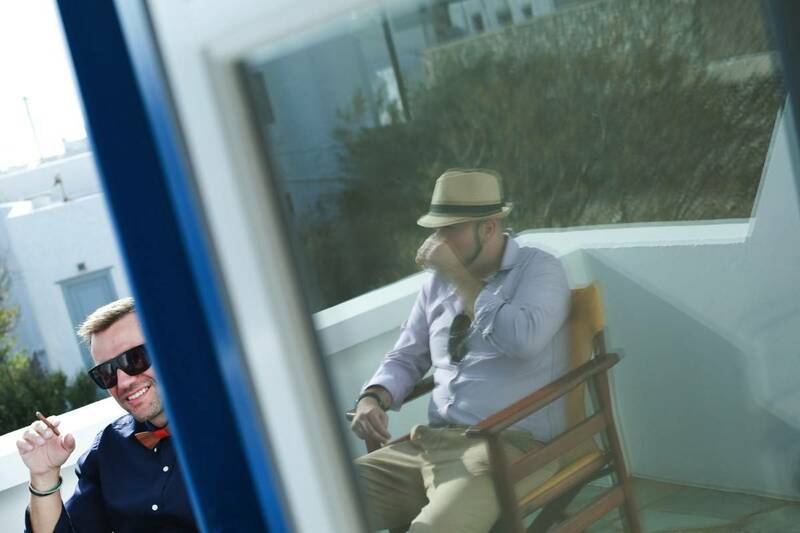 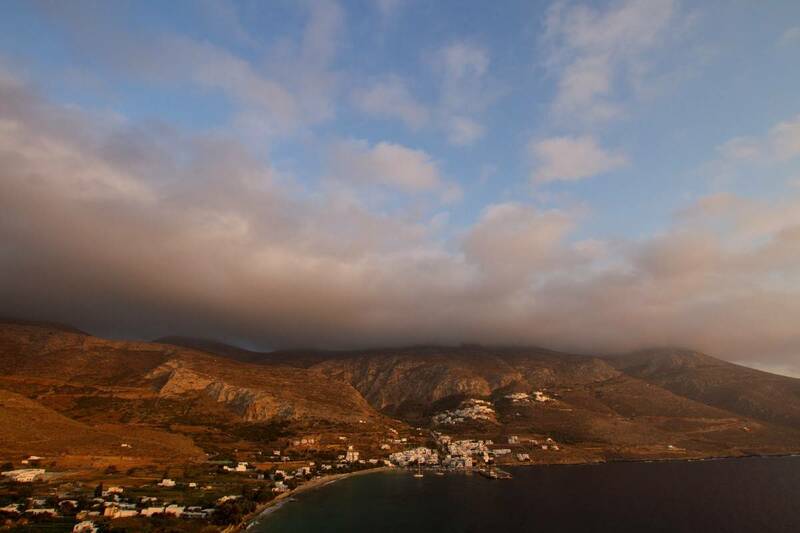 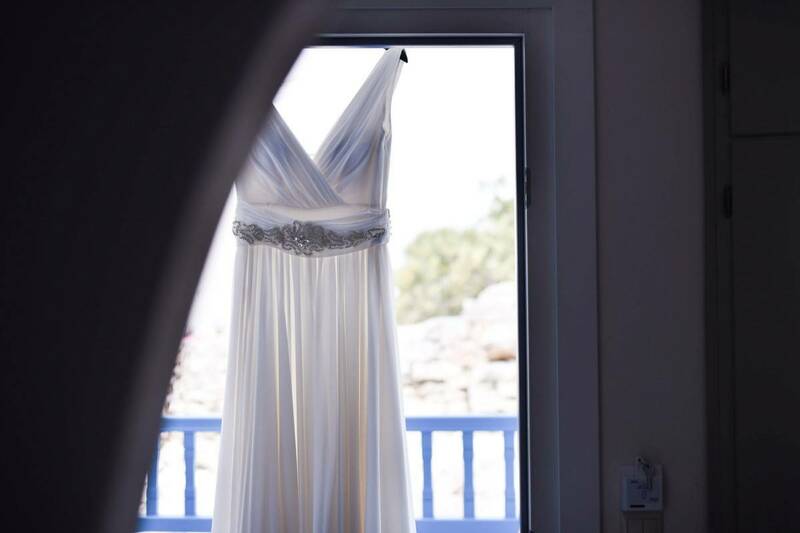 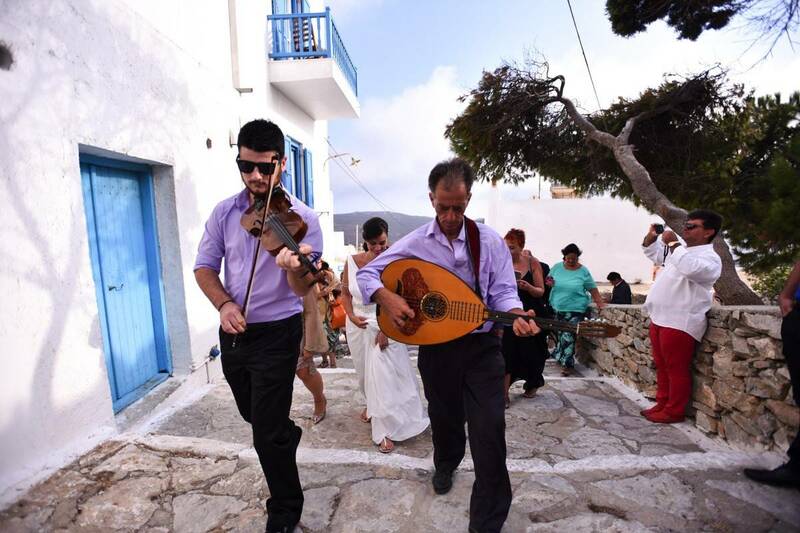 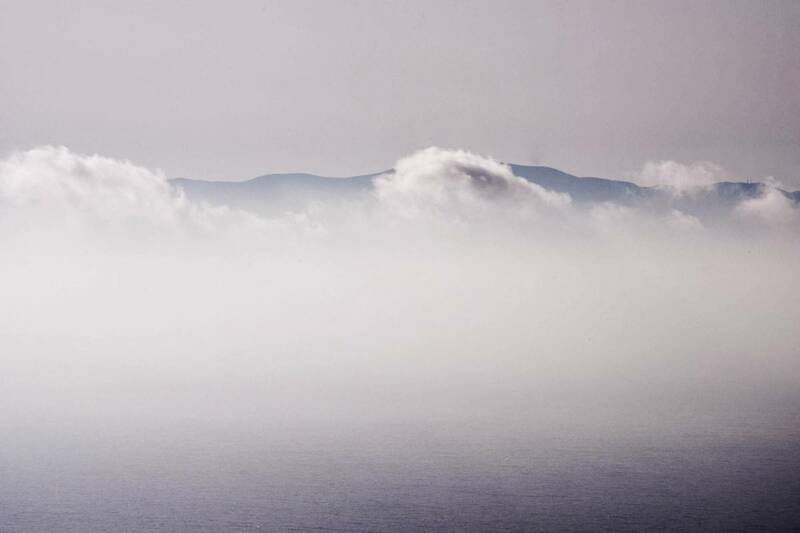 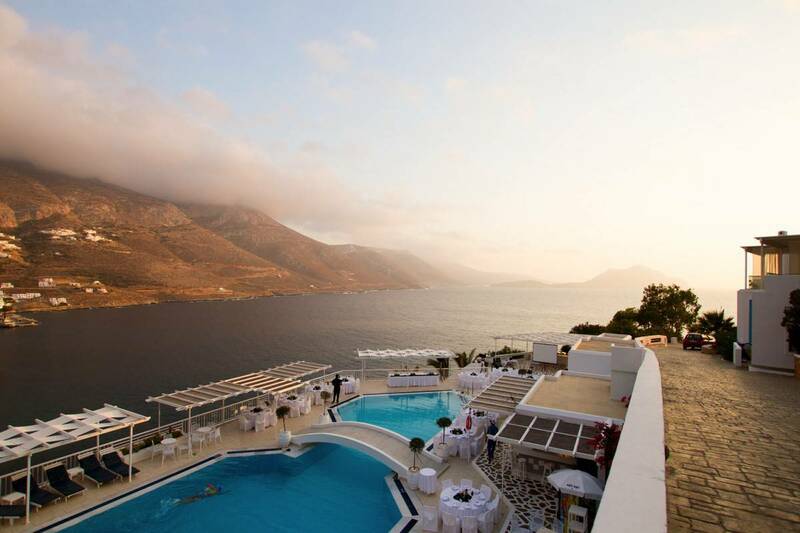 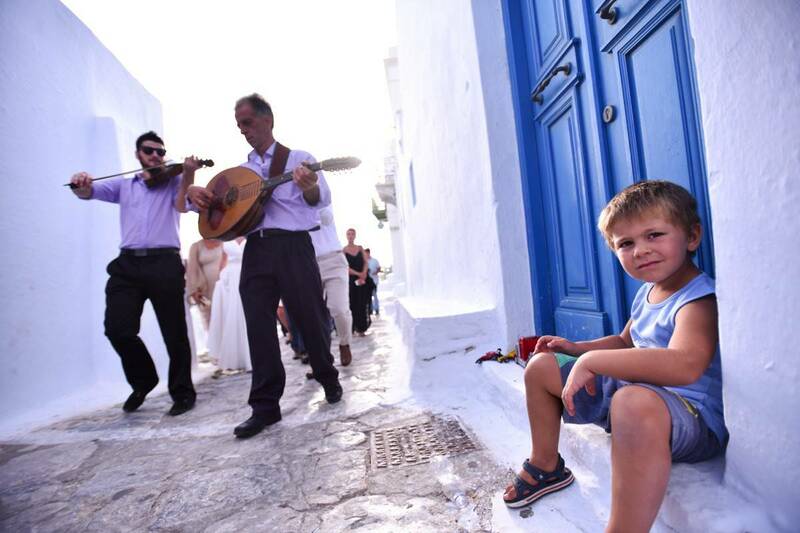 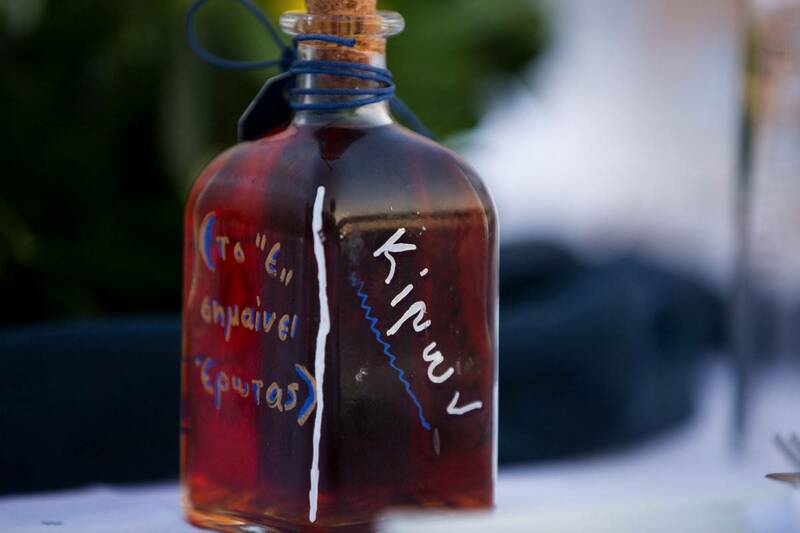 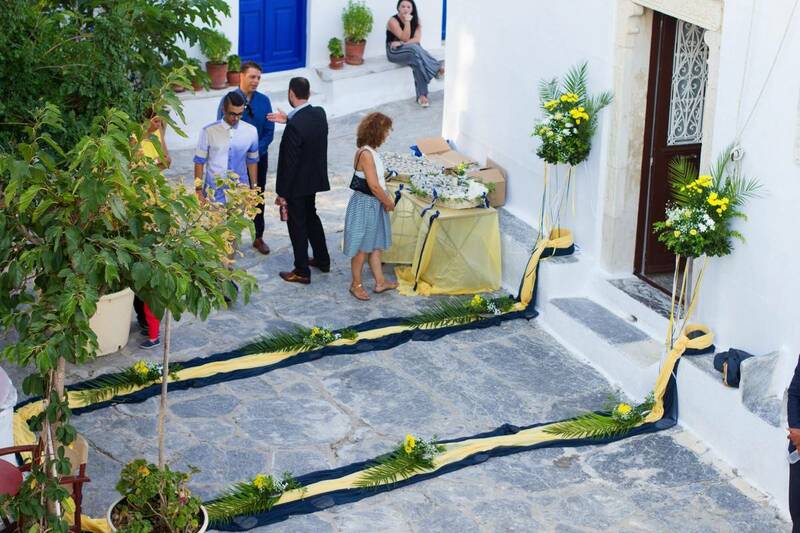 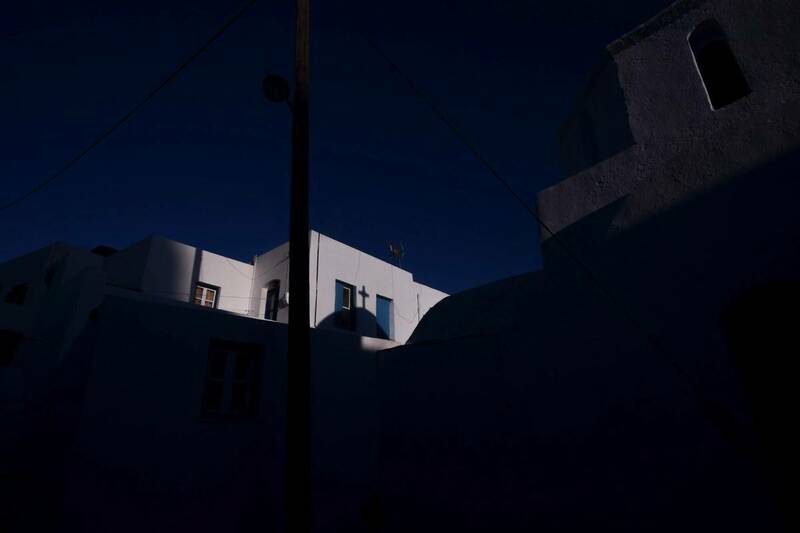 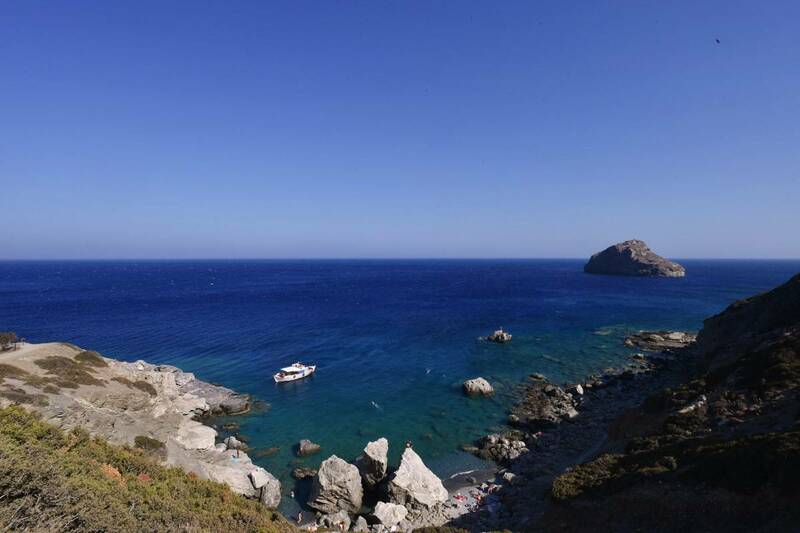 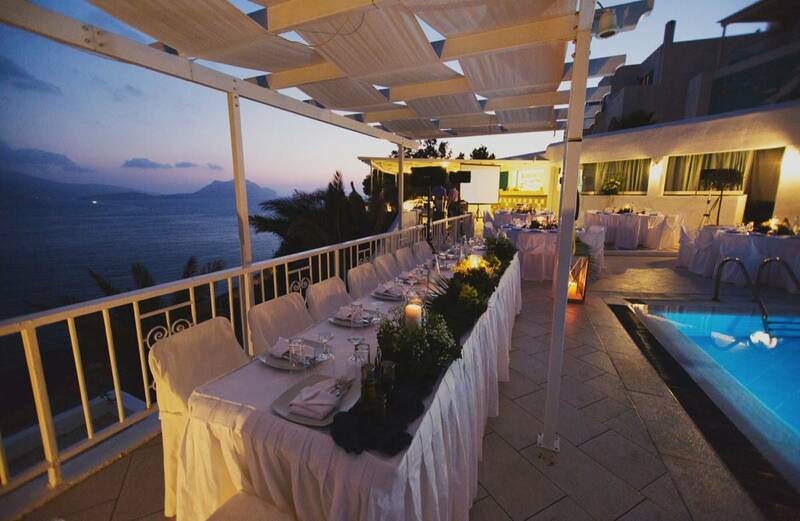 All set for a beautiful and memorable day in picturesque Amorgos. 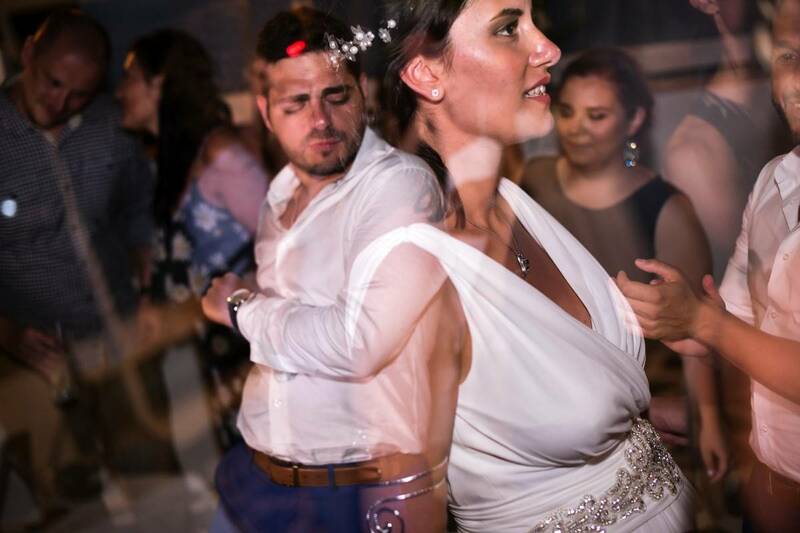 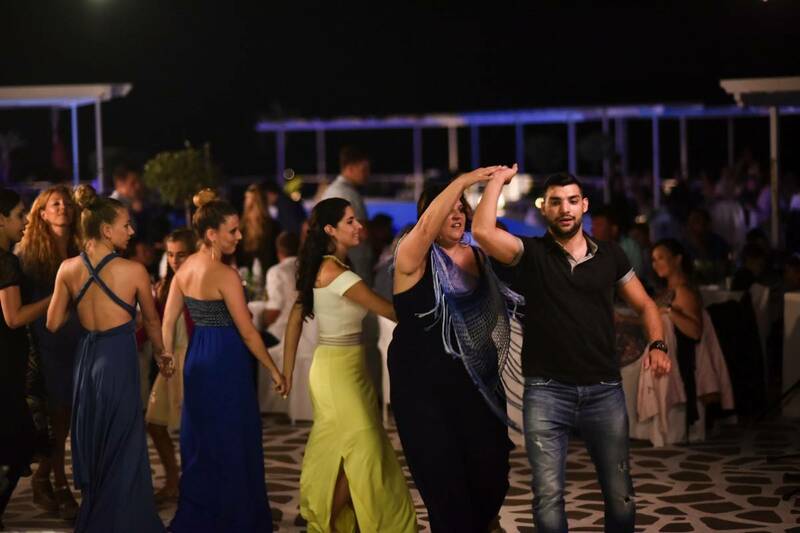 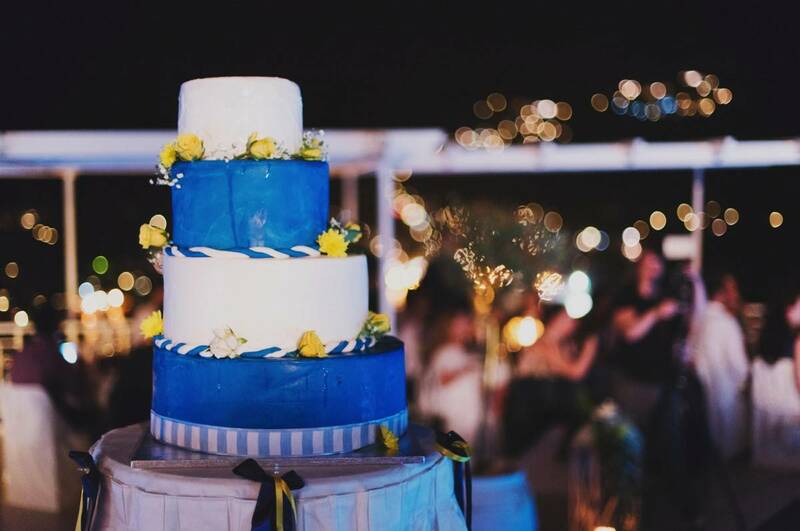 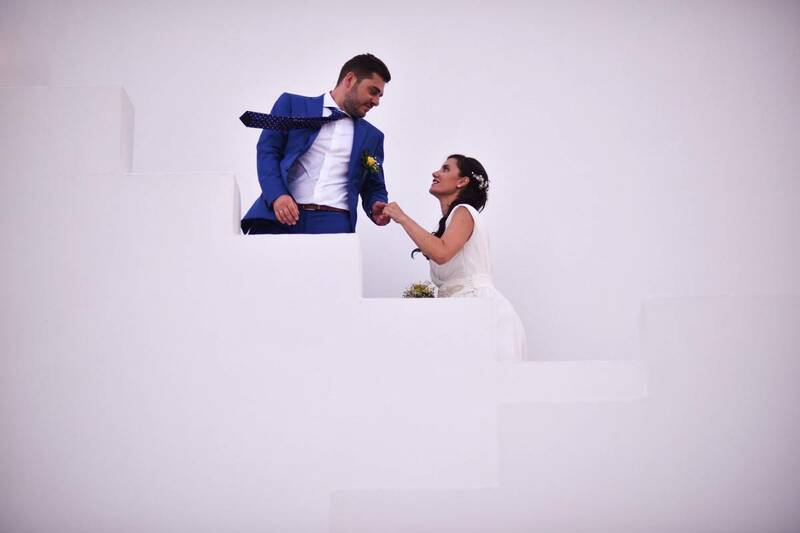 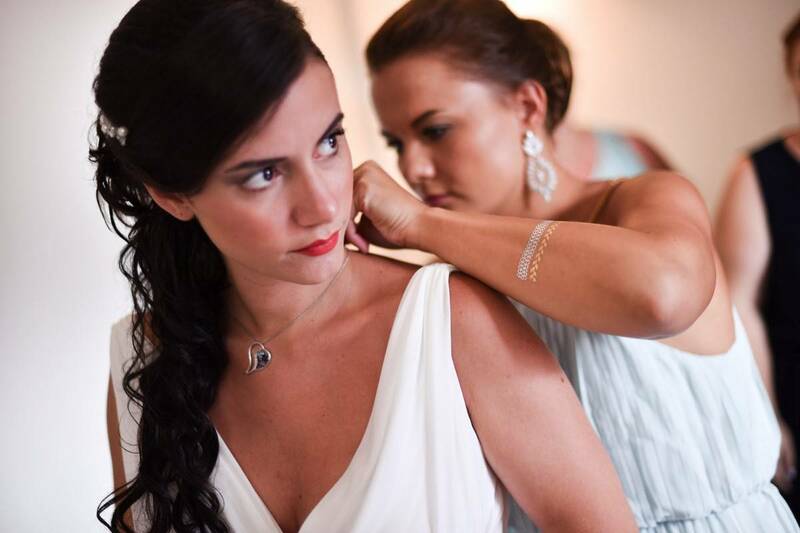 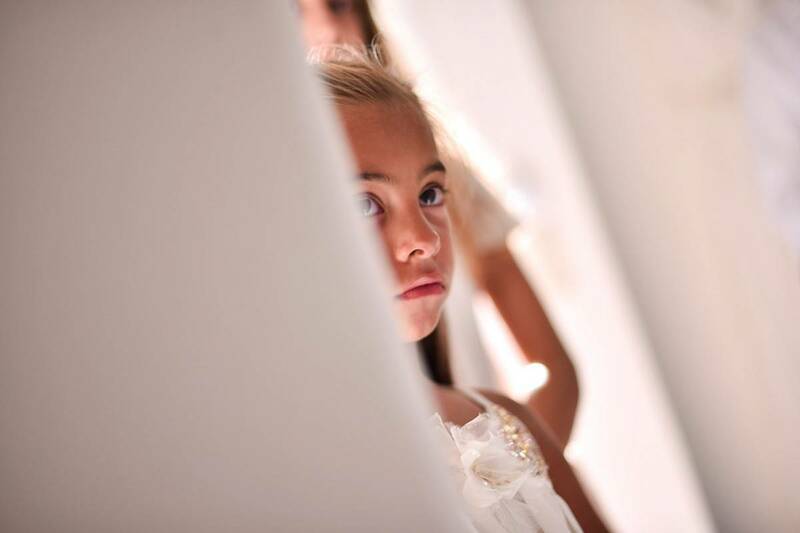 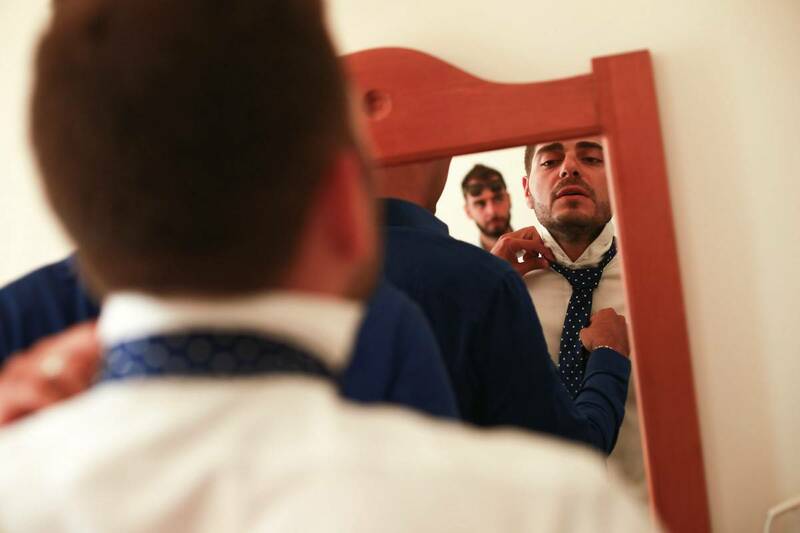 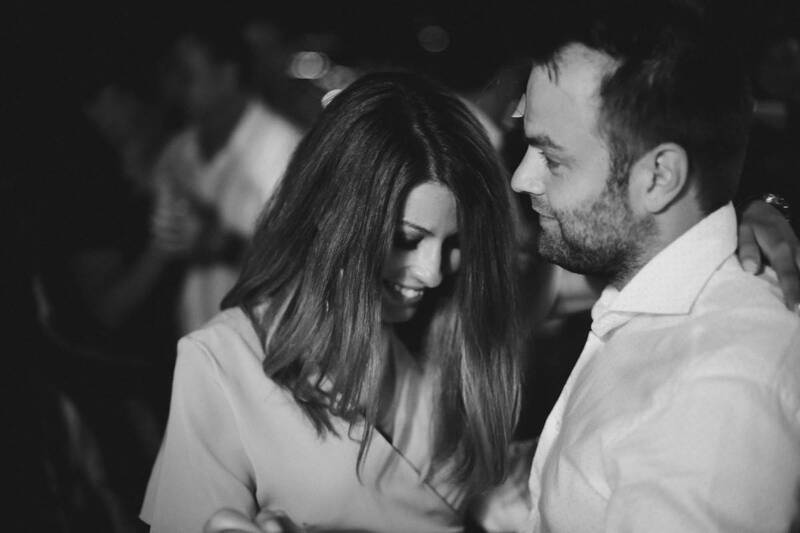 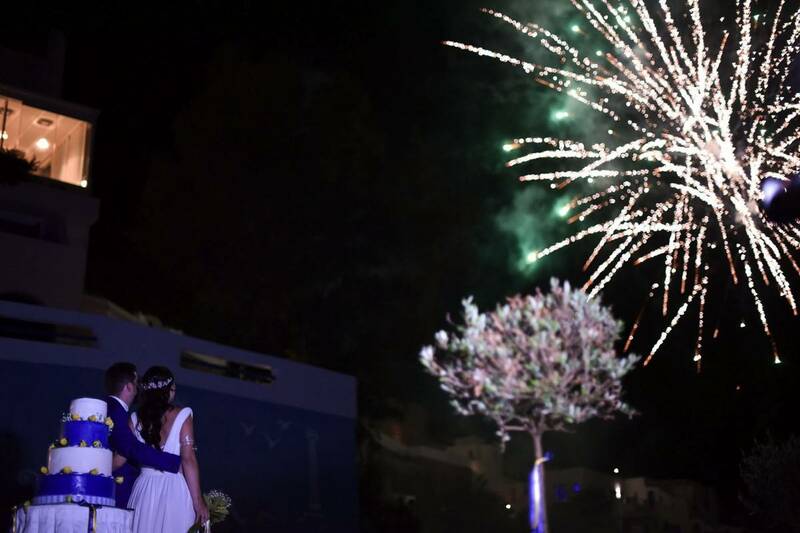 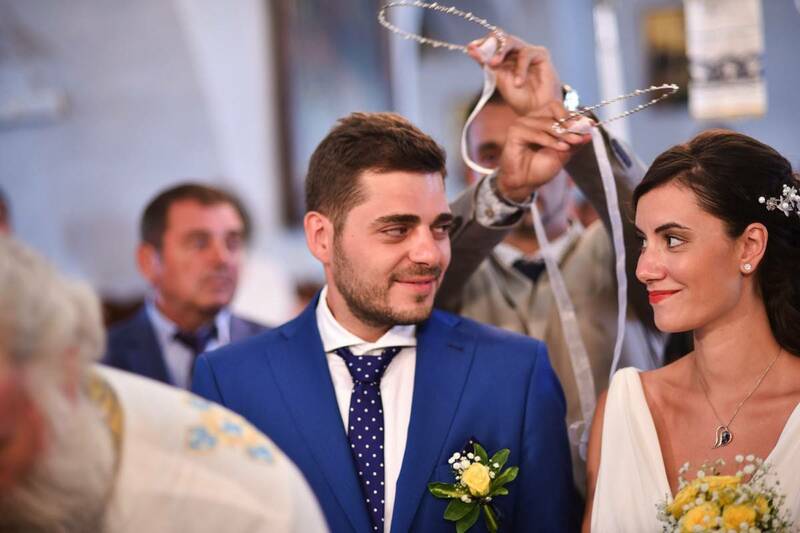 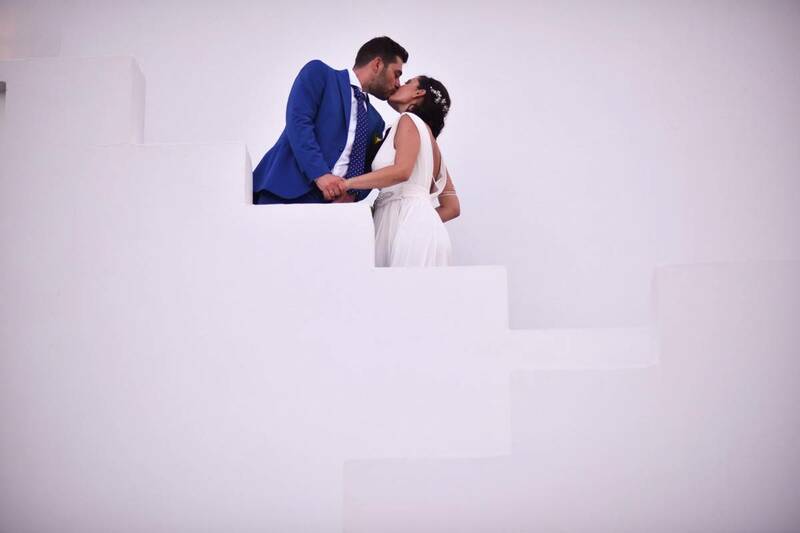 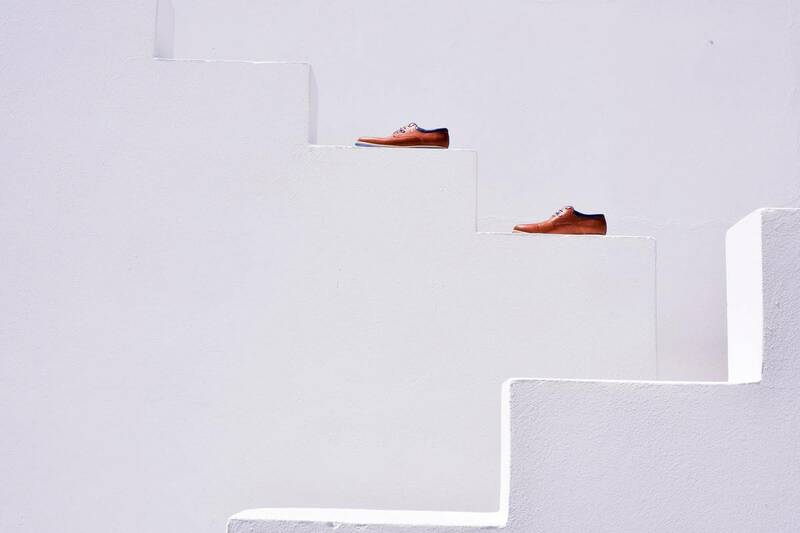 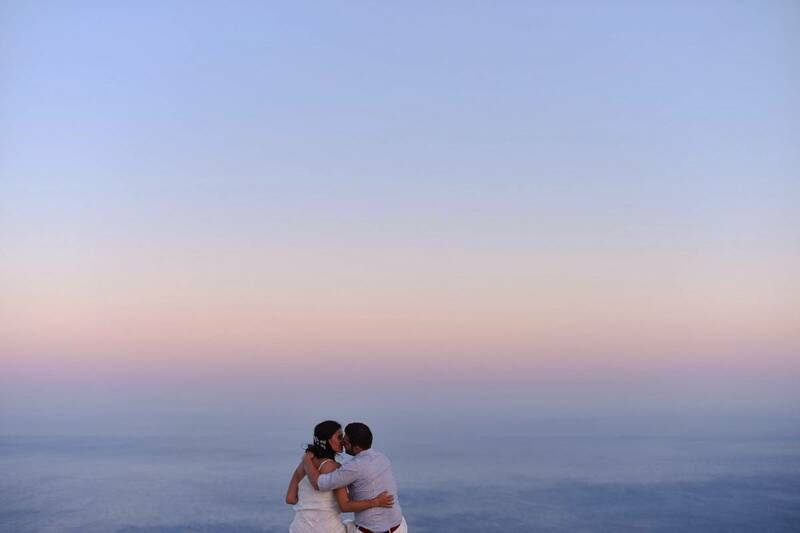 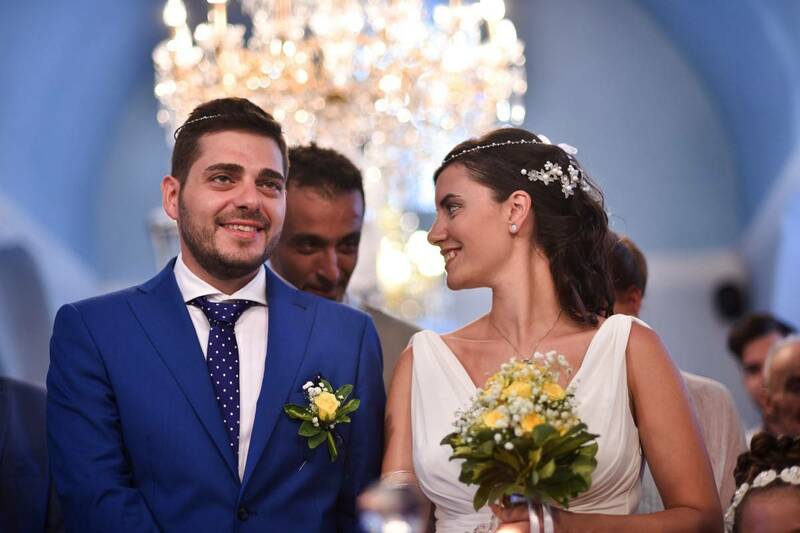 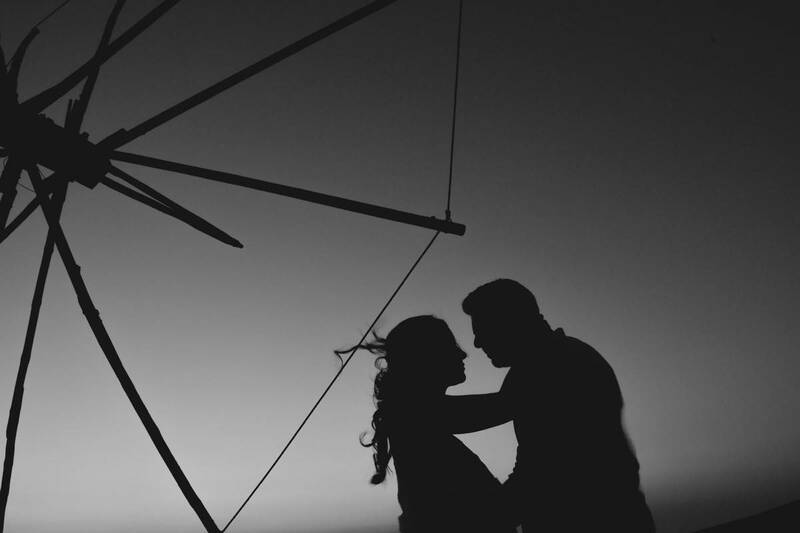 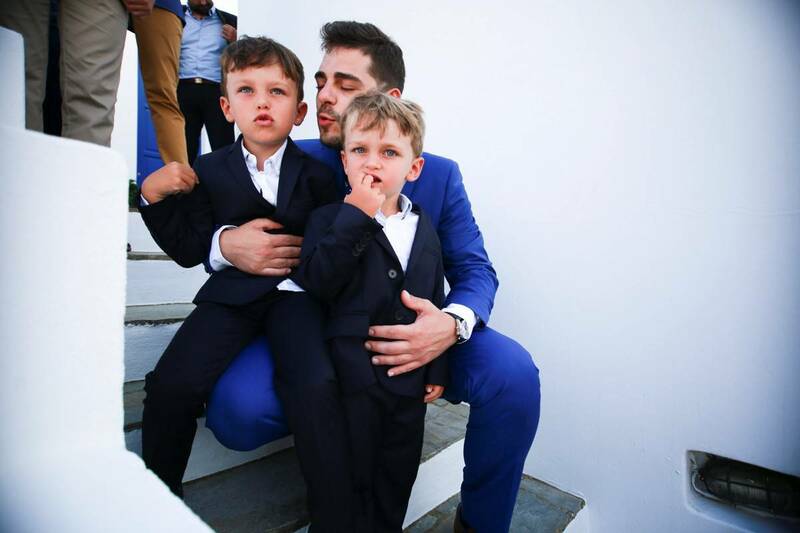 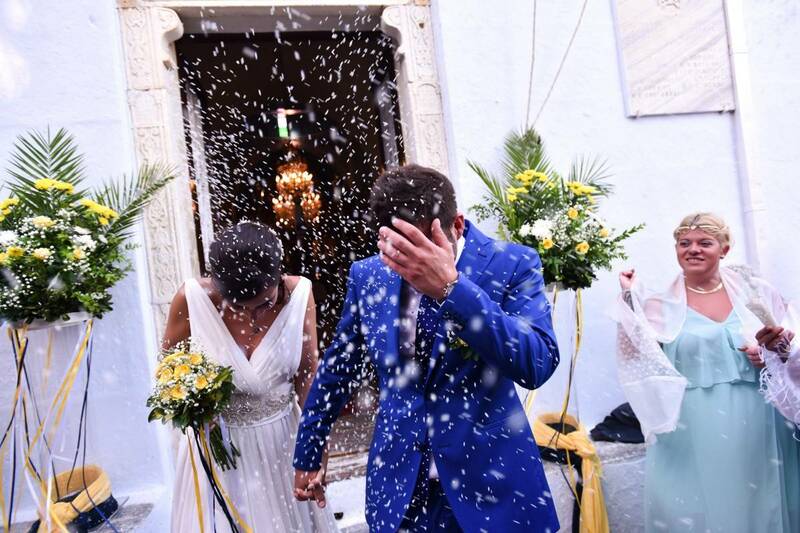 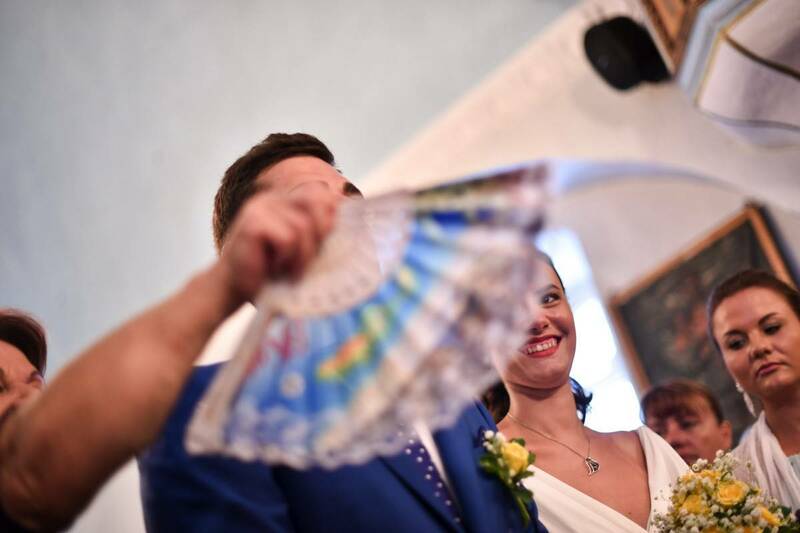 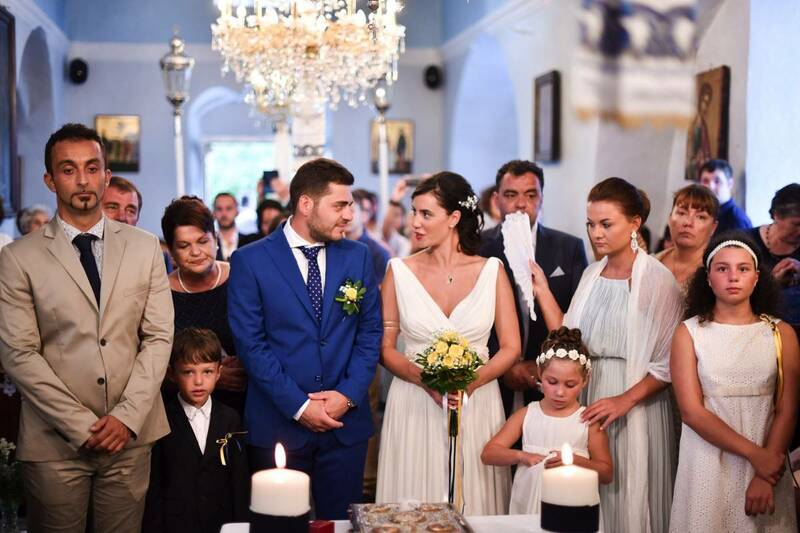 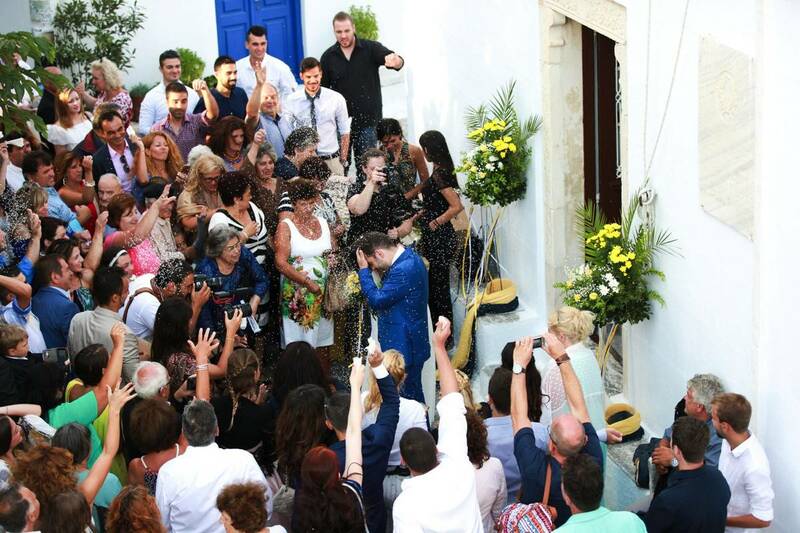 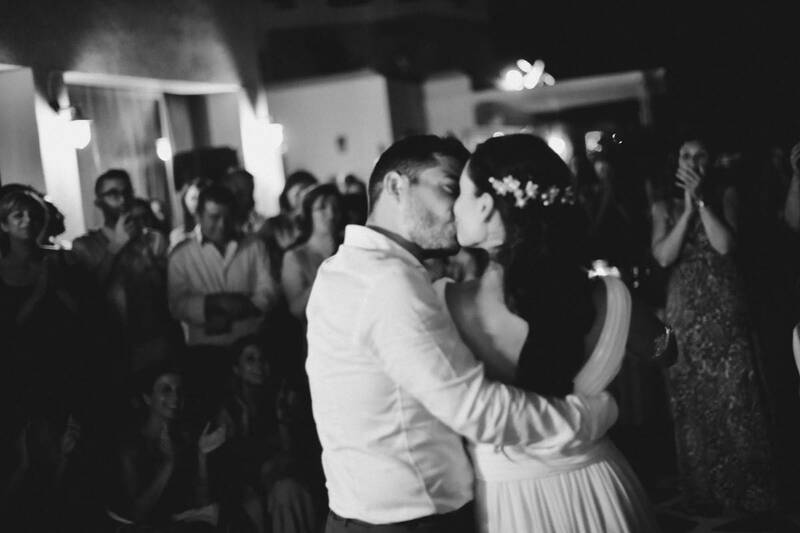 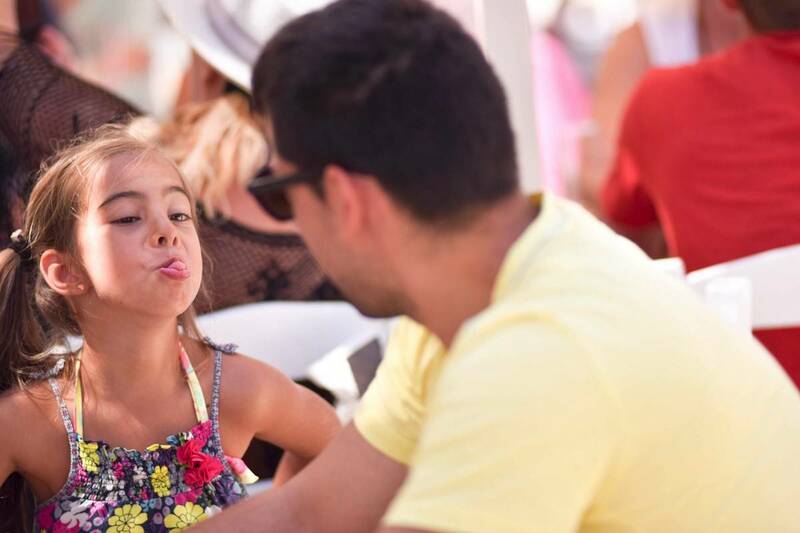 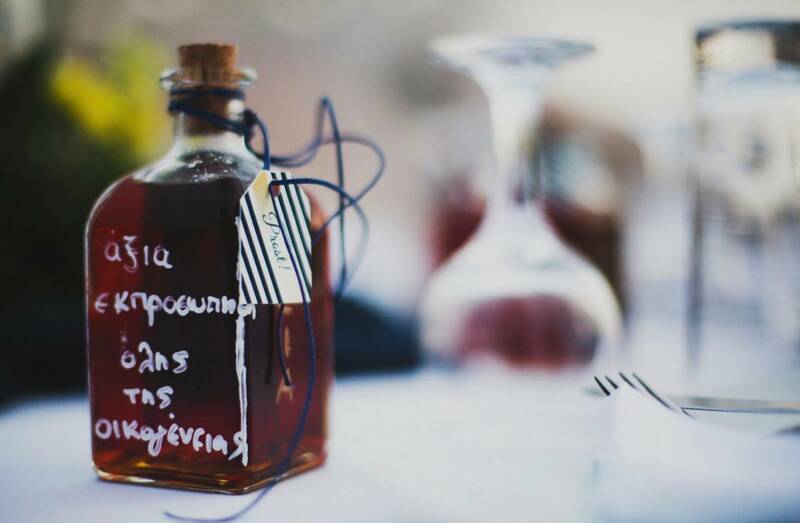 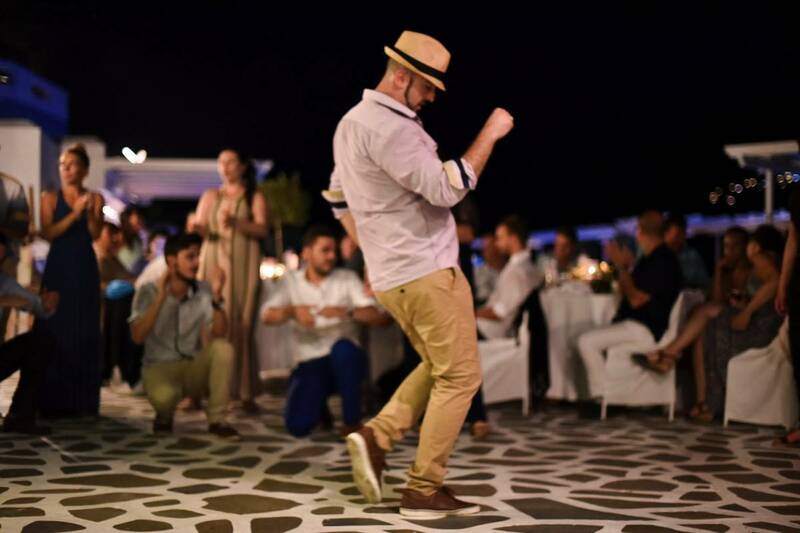 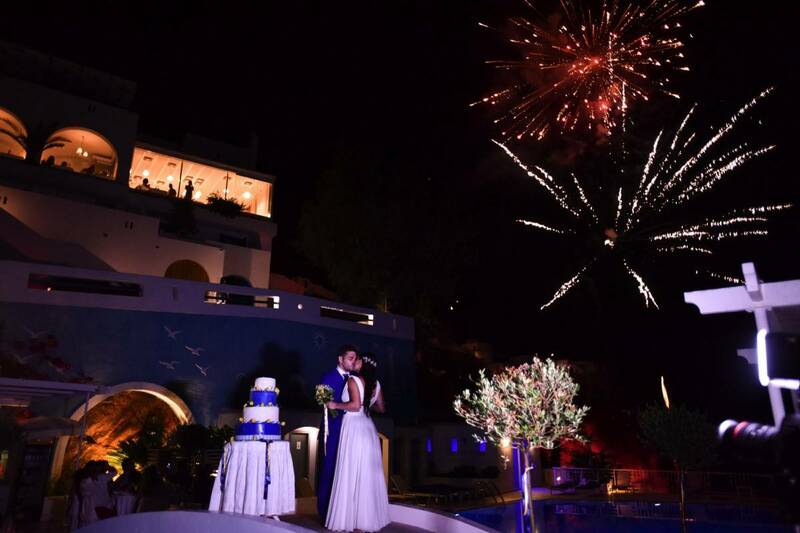 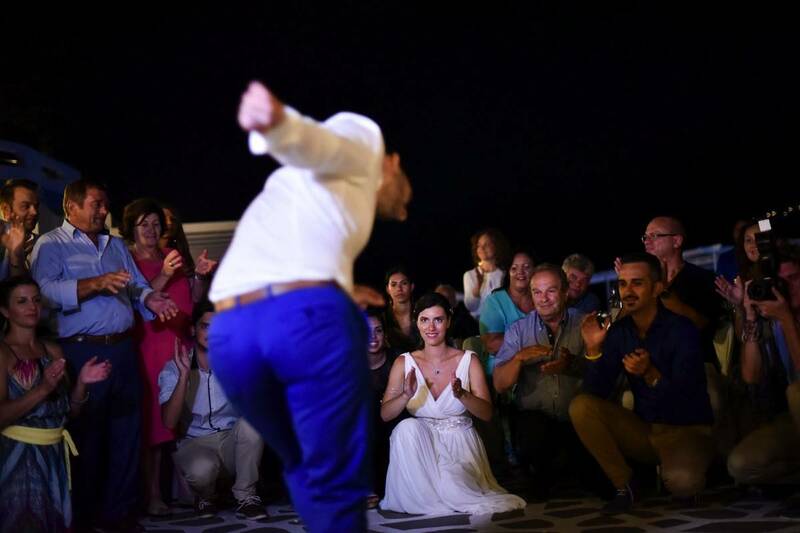 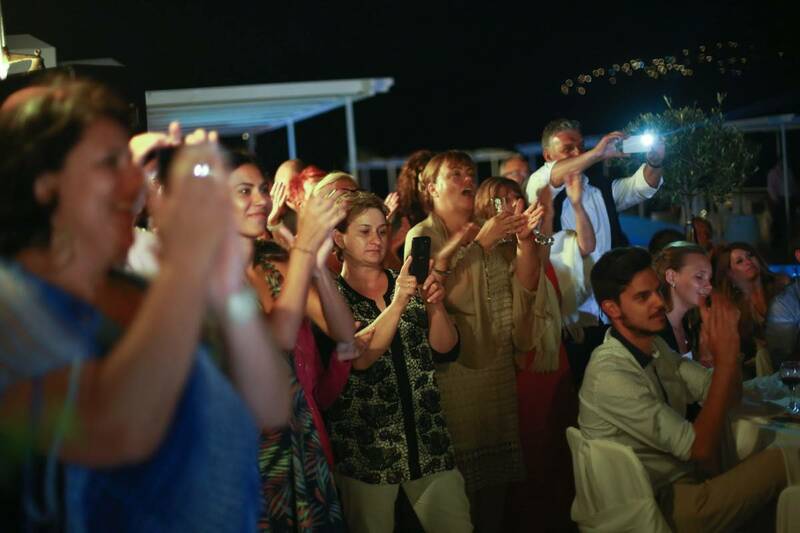 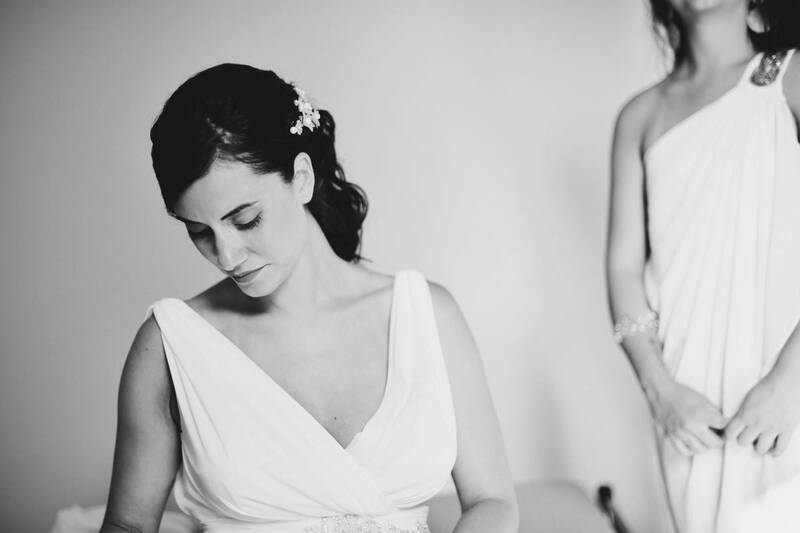 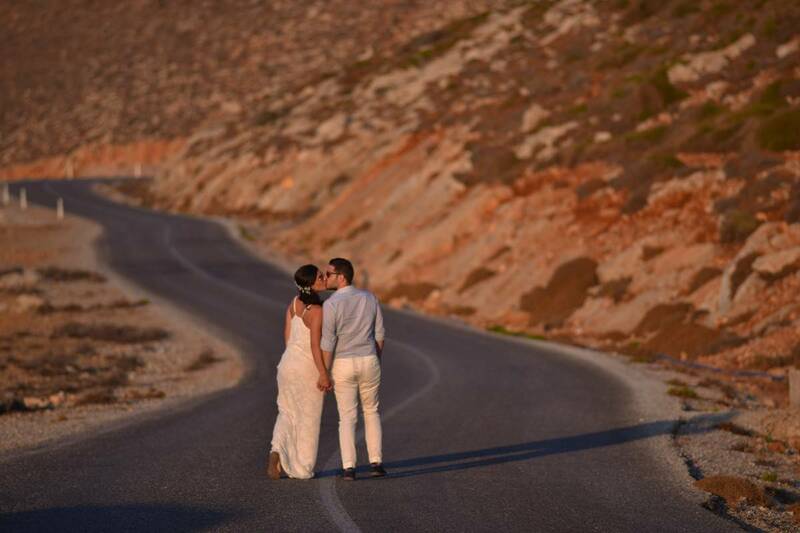 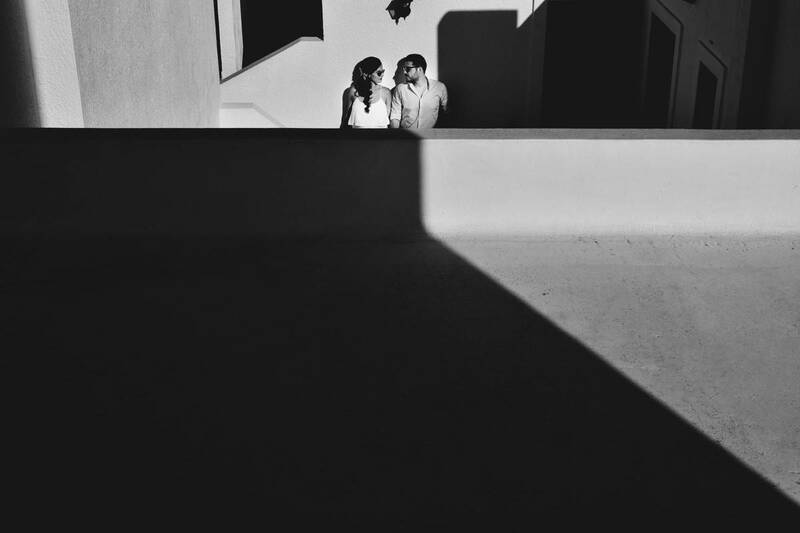 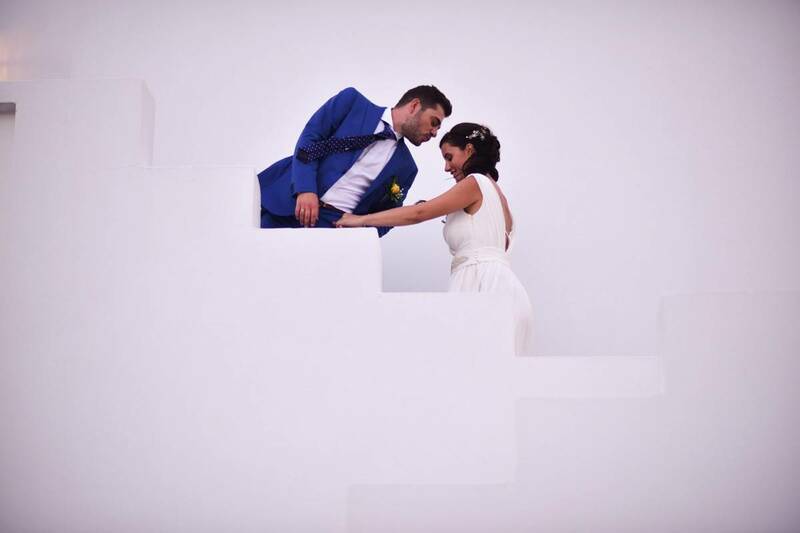 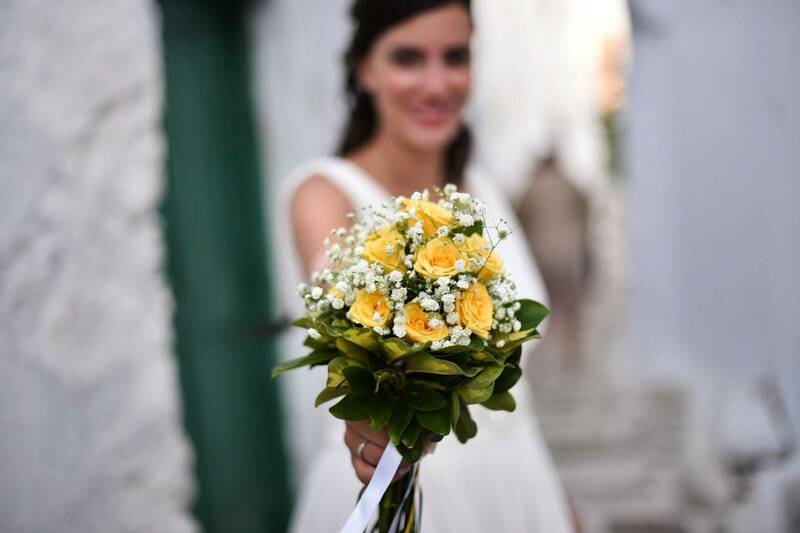 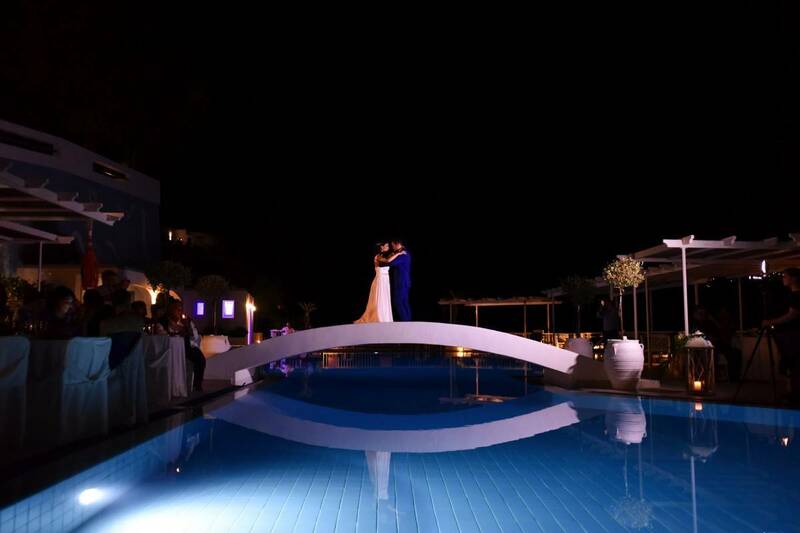 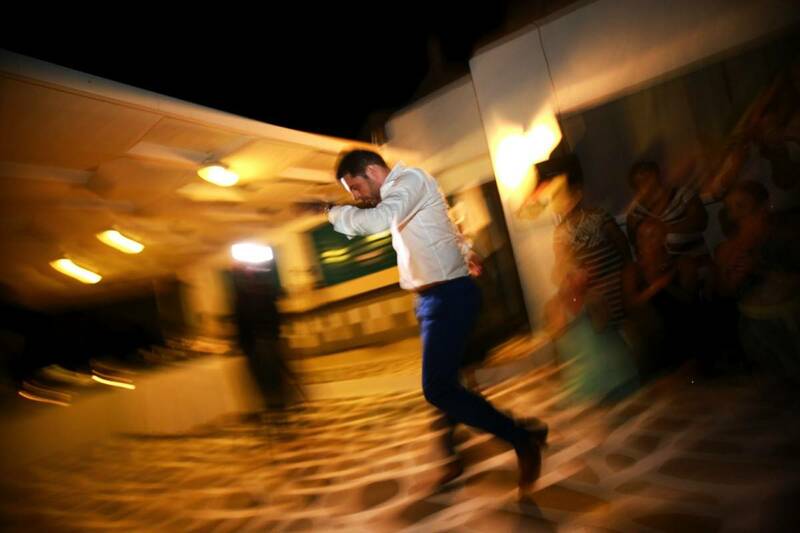 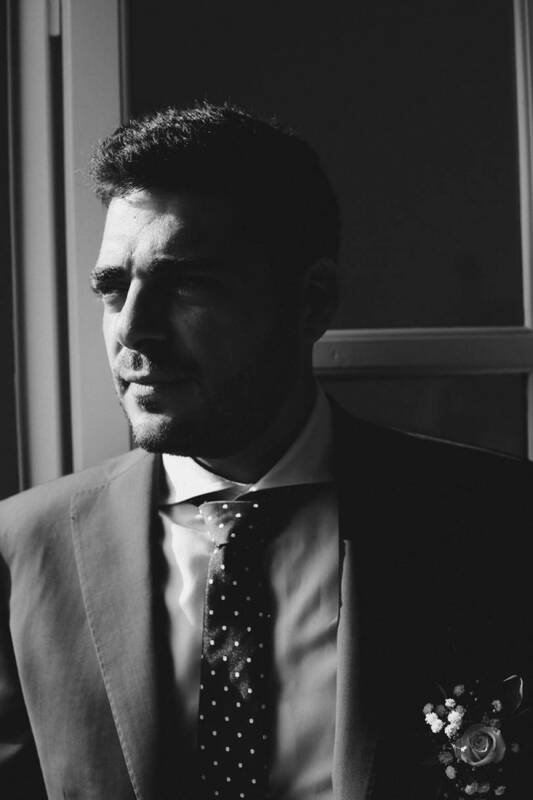 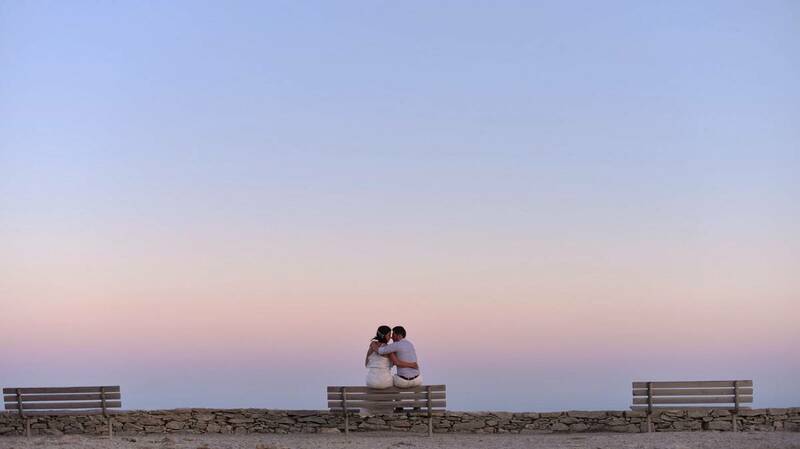 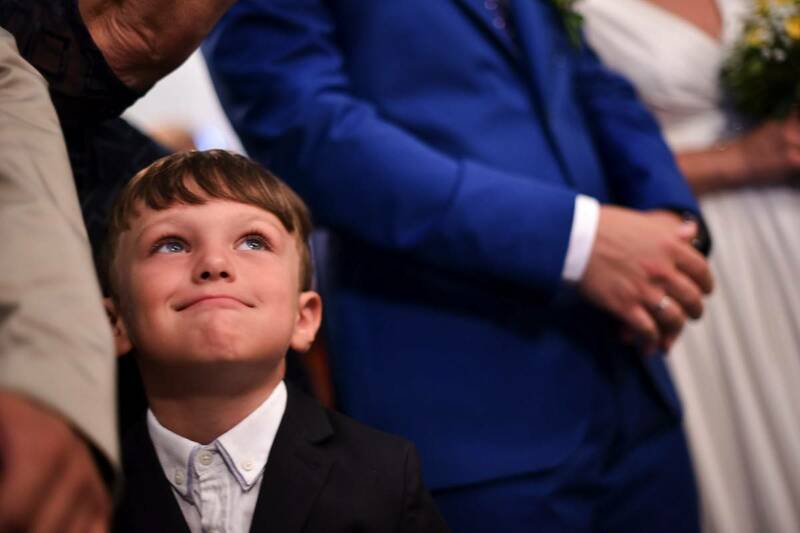 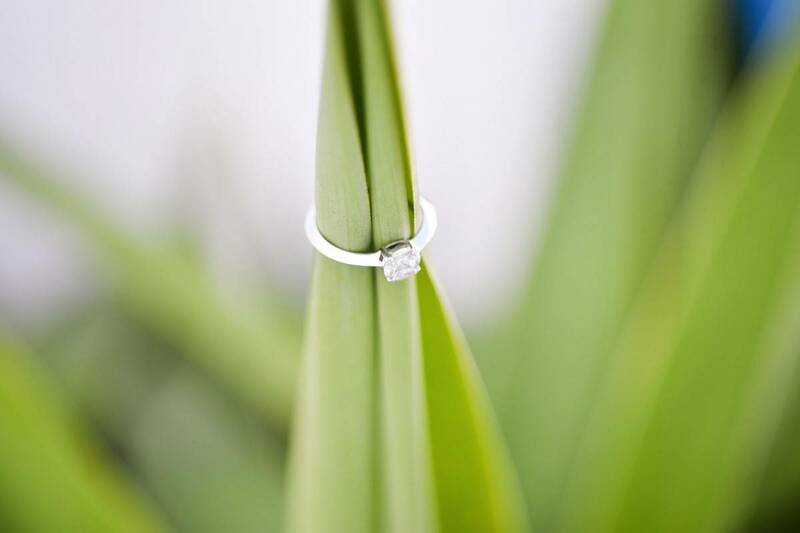 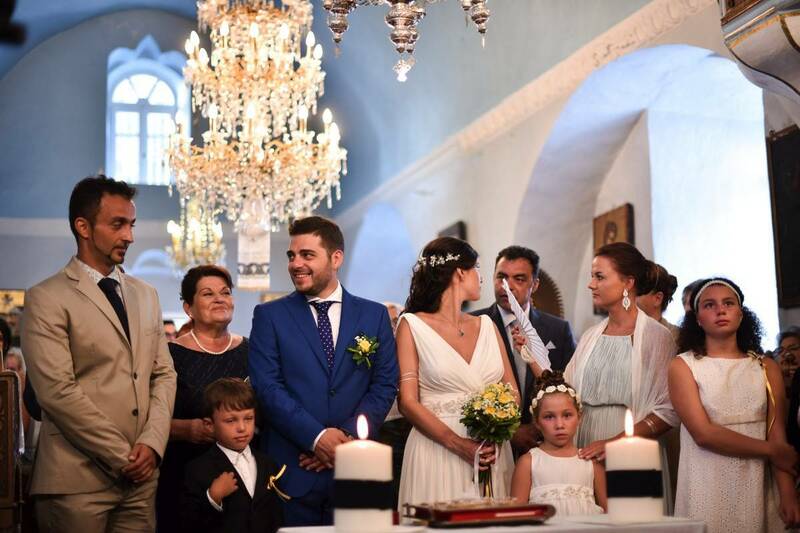 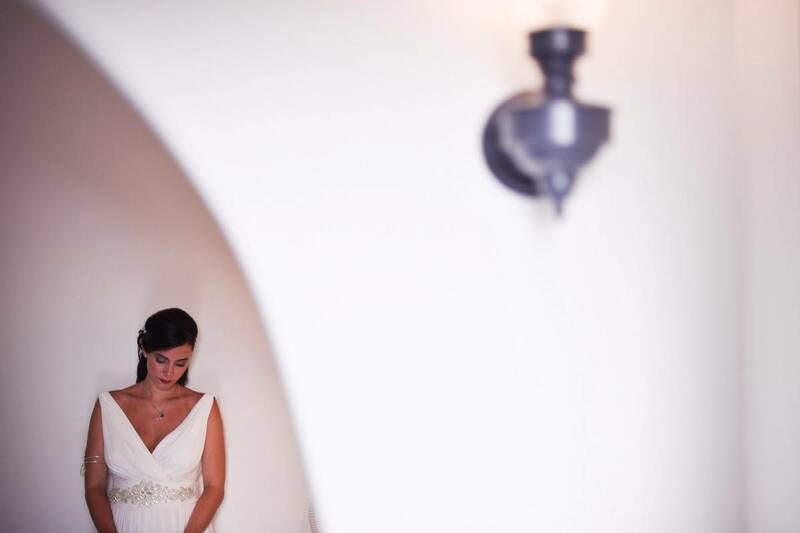 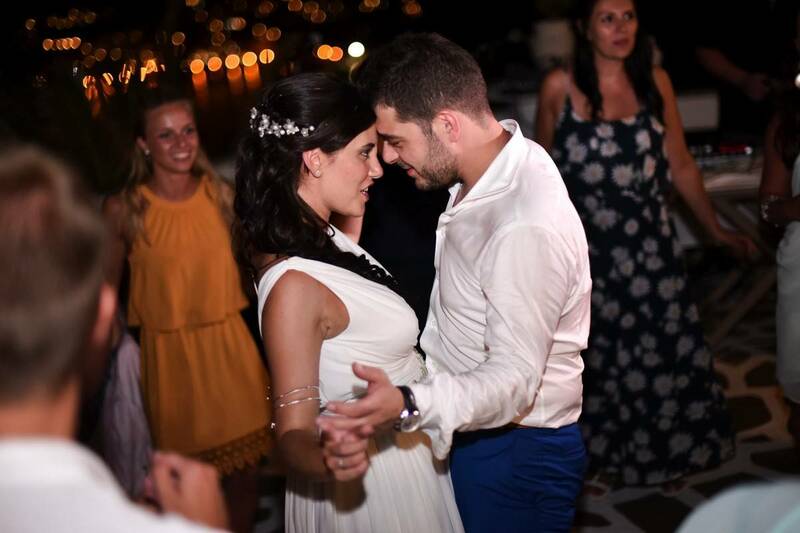 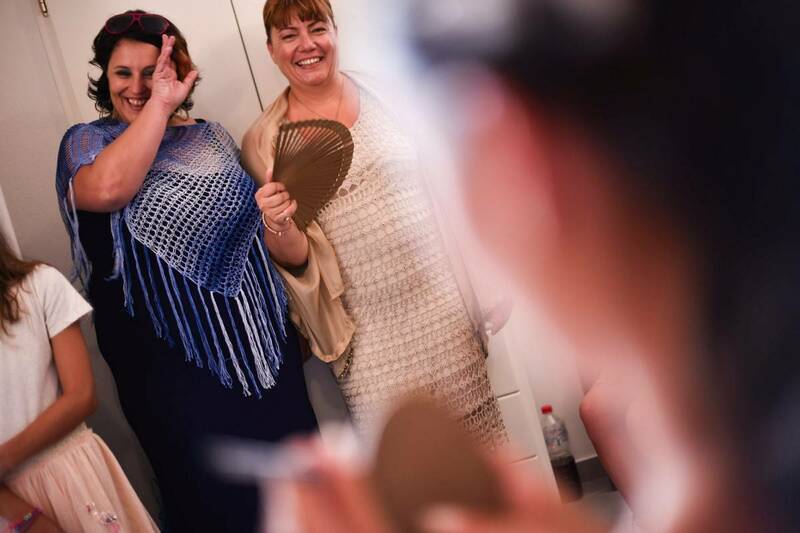 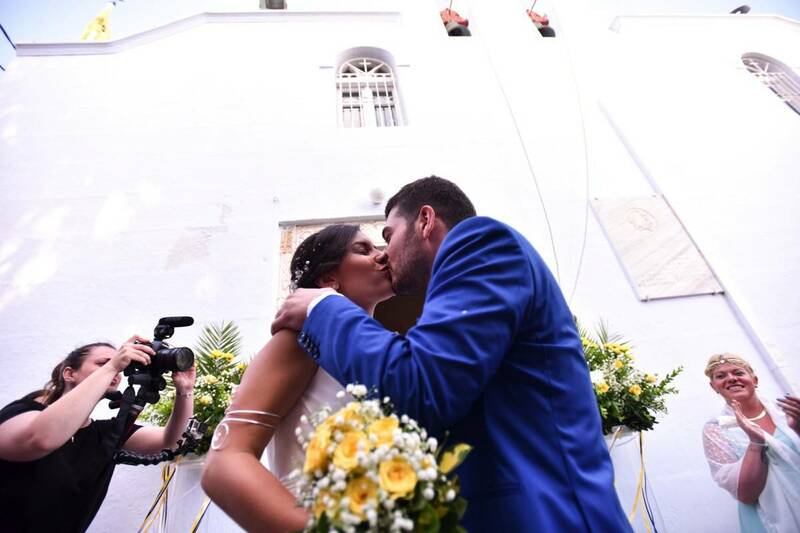 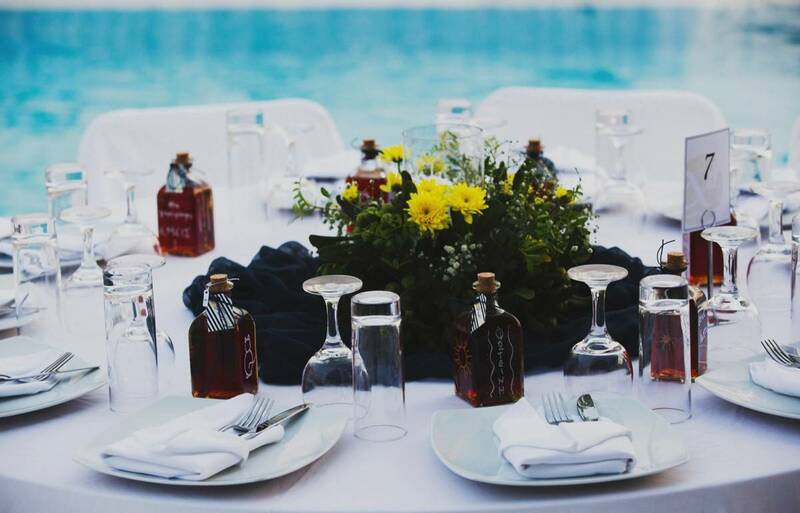 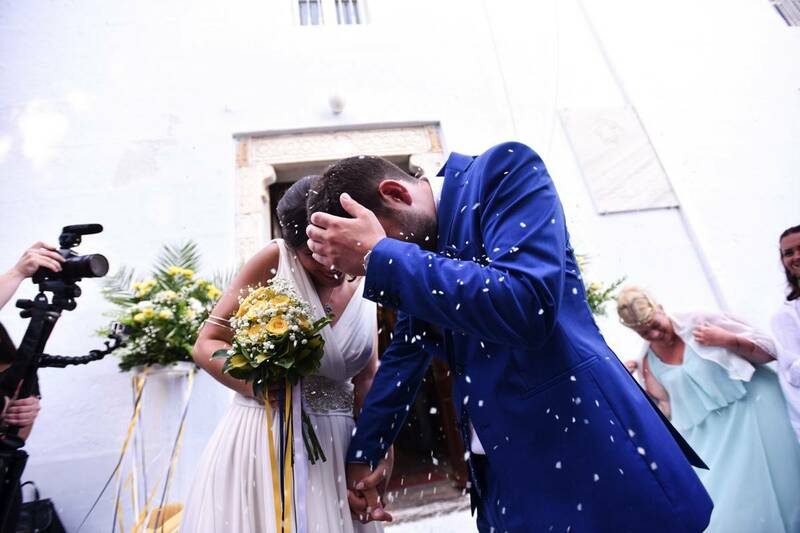 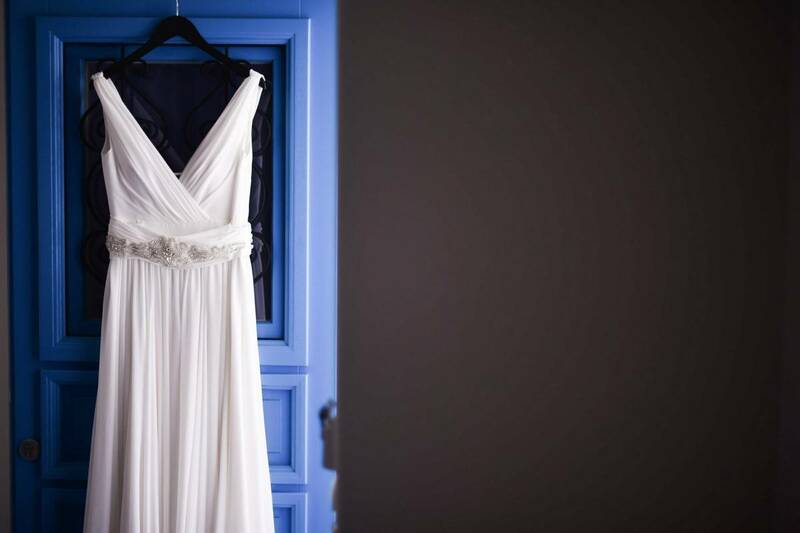 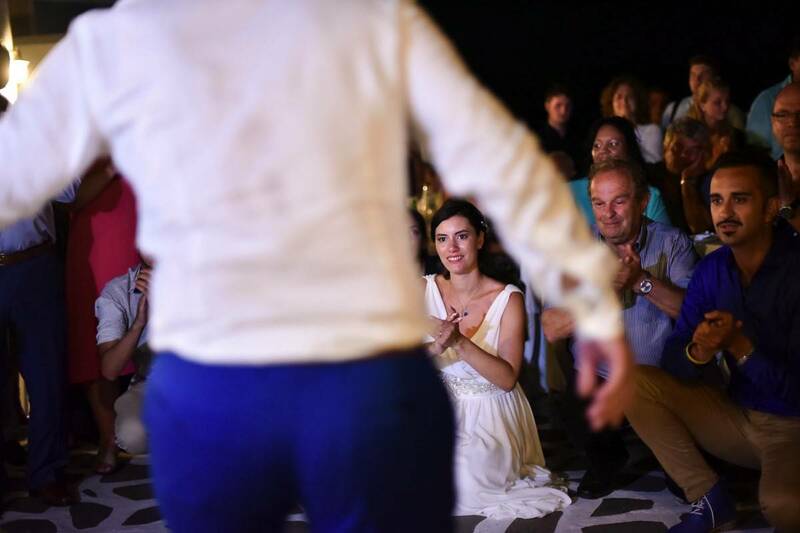 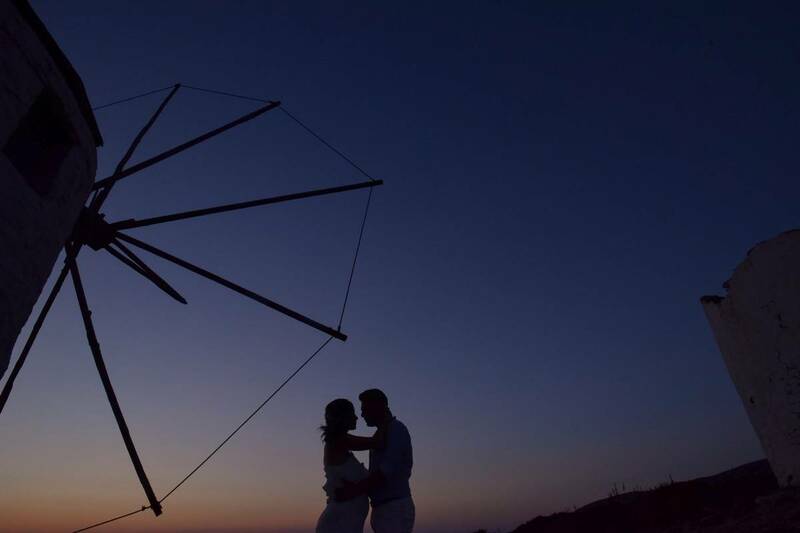 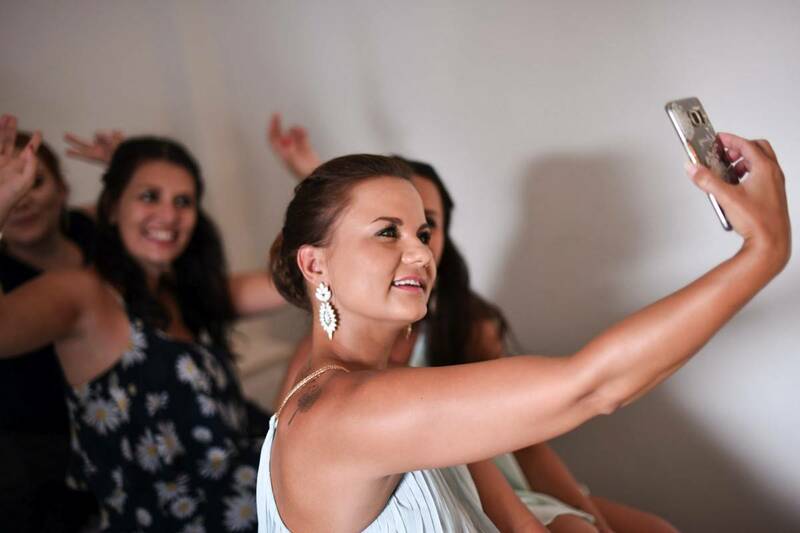 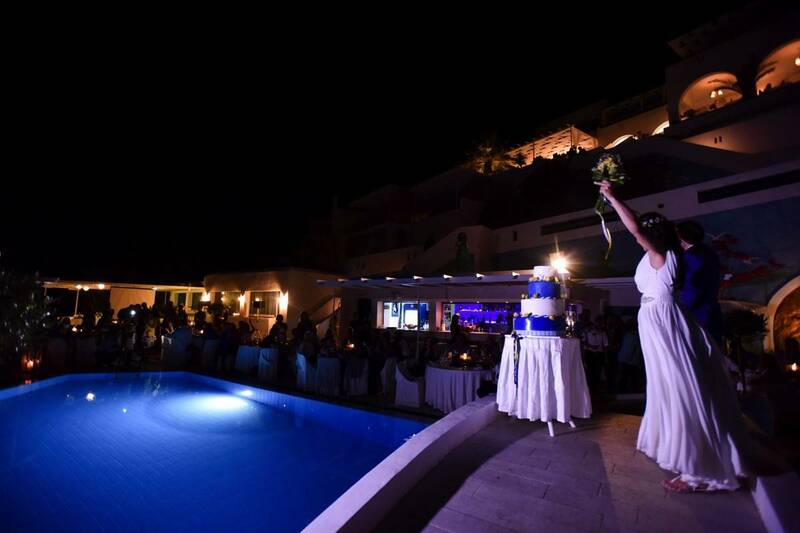 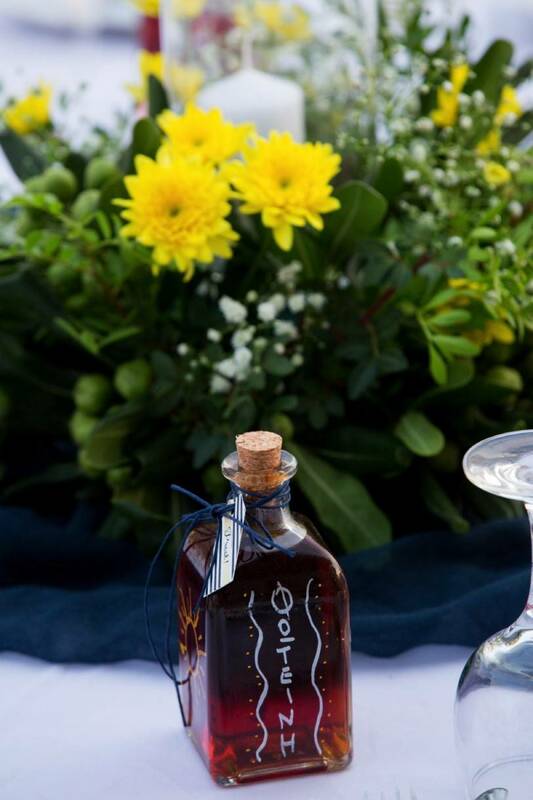 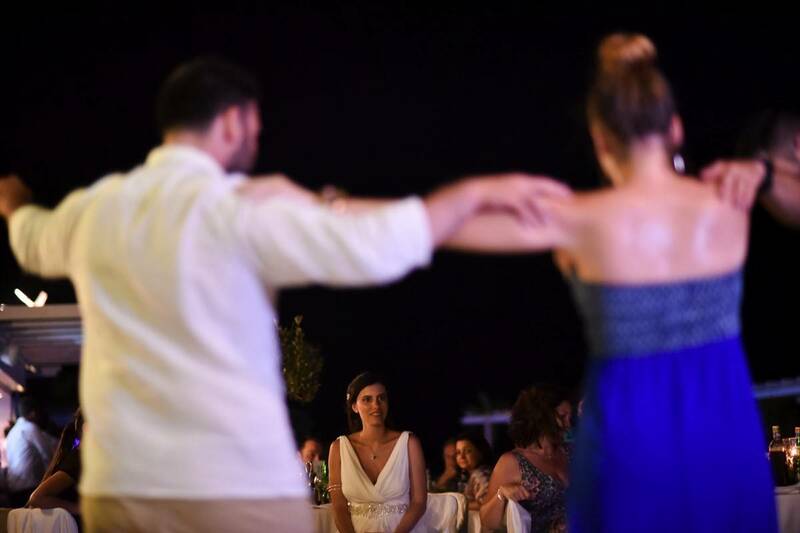 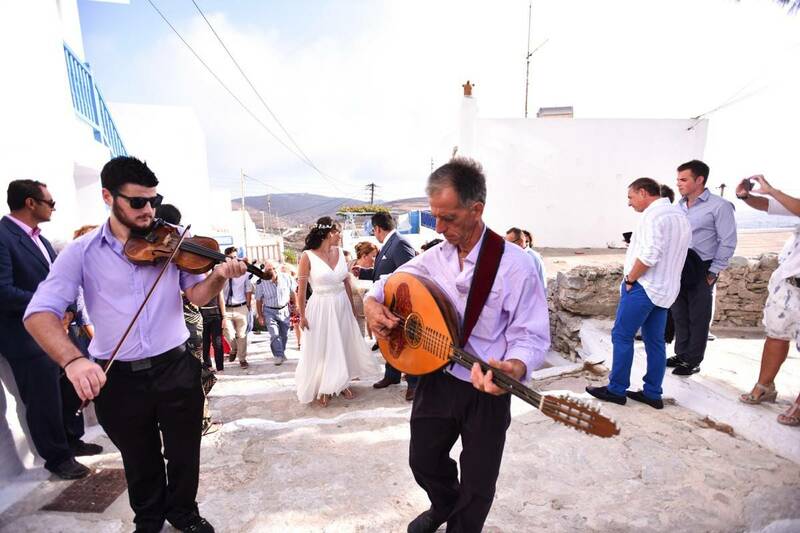 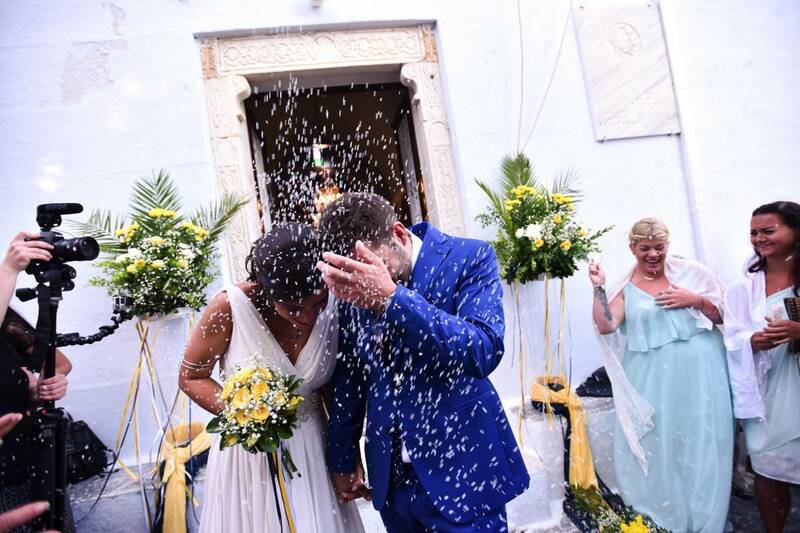 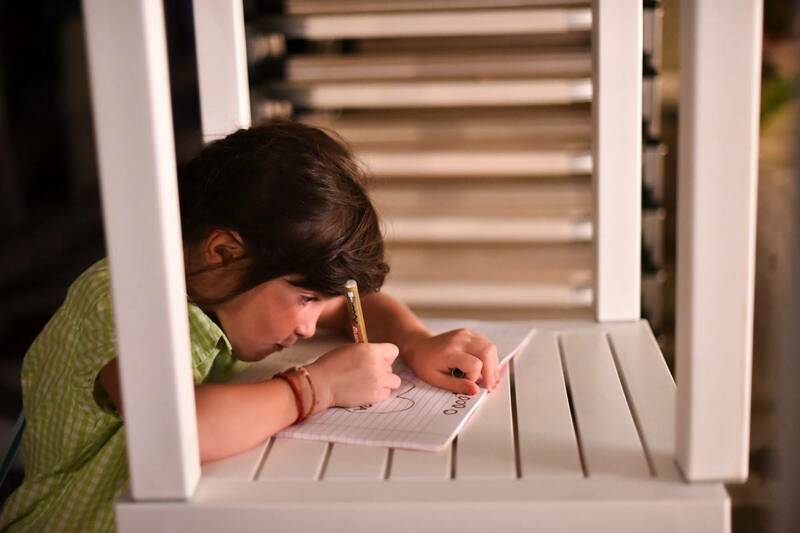 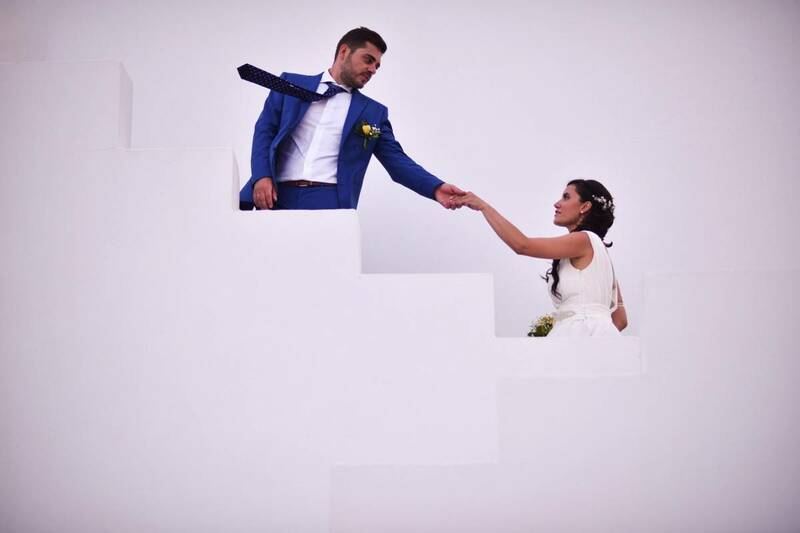 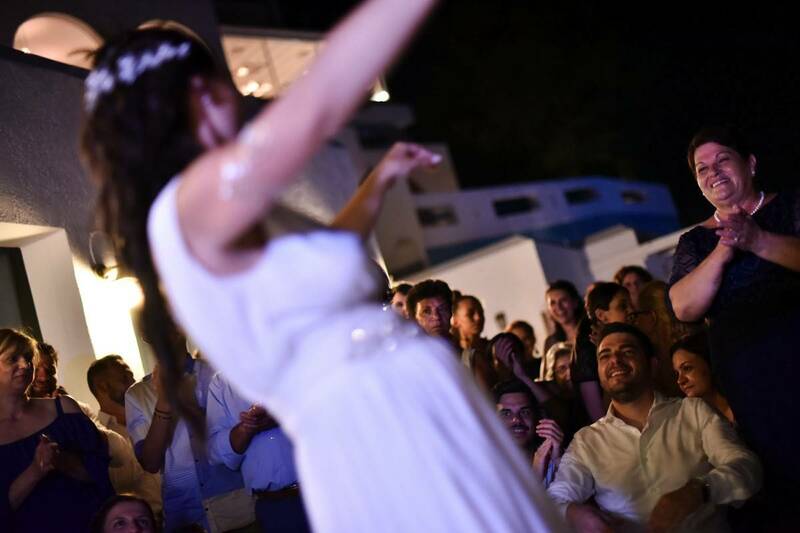 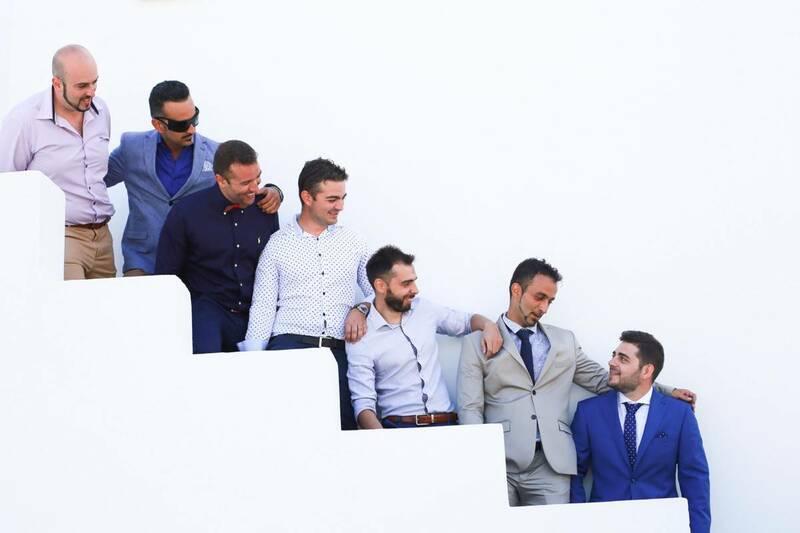 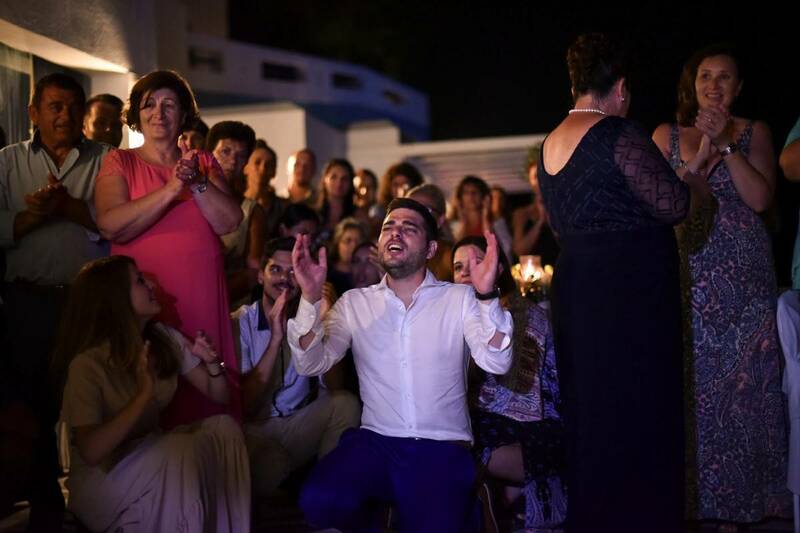 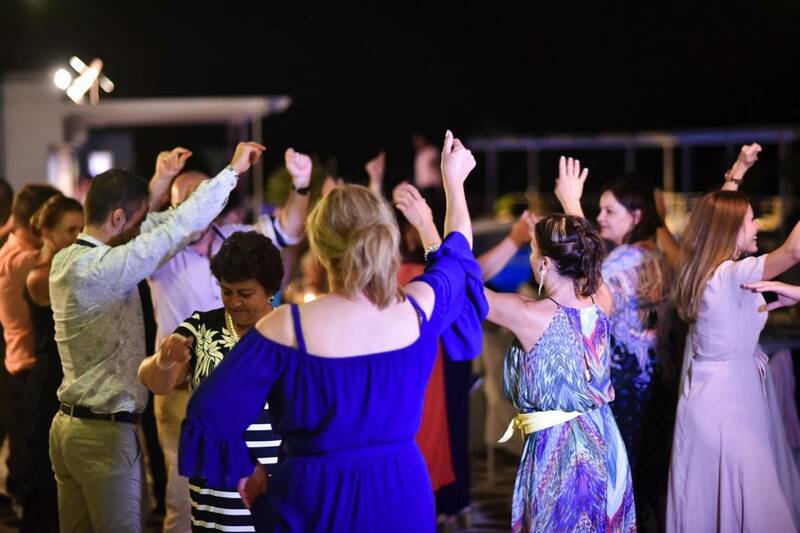 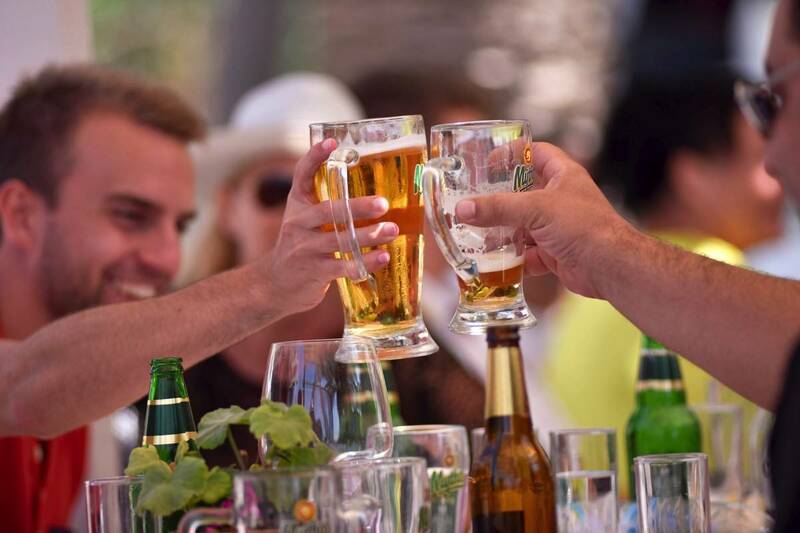 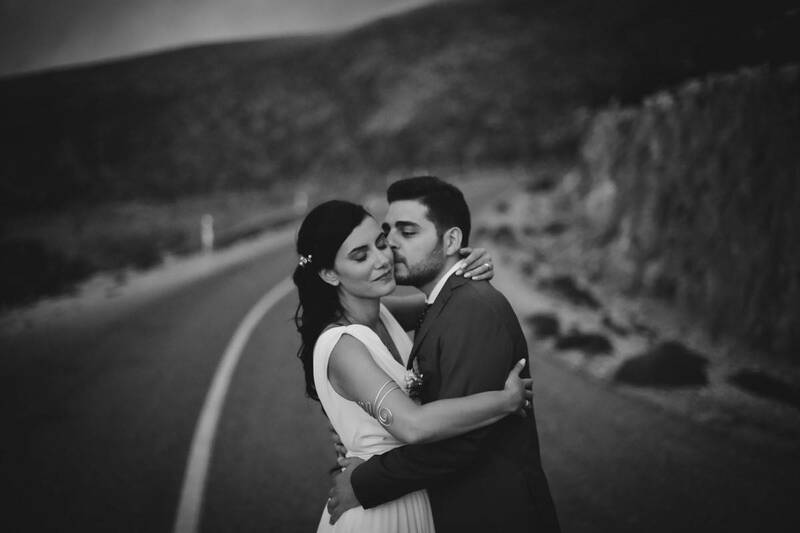 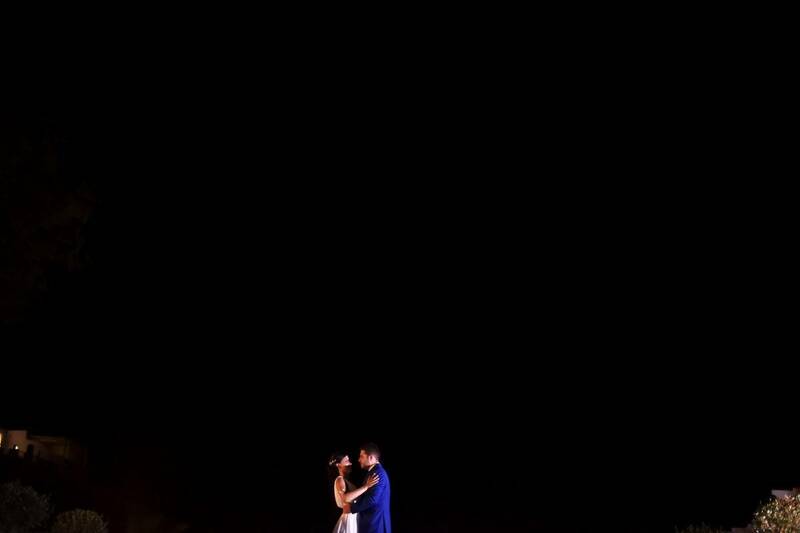 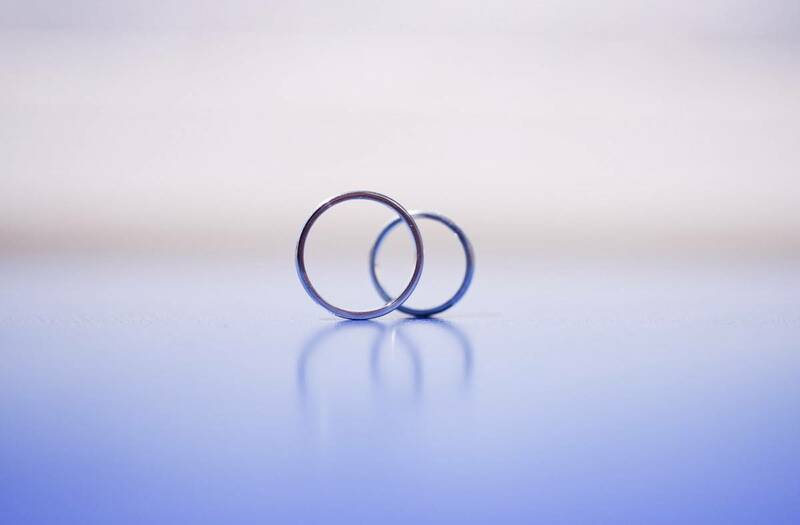 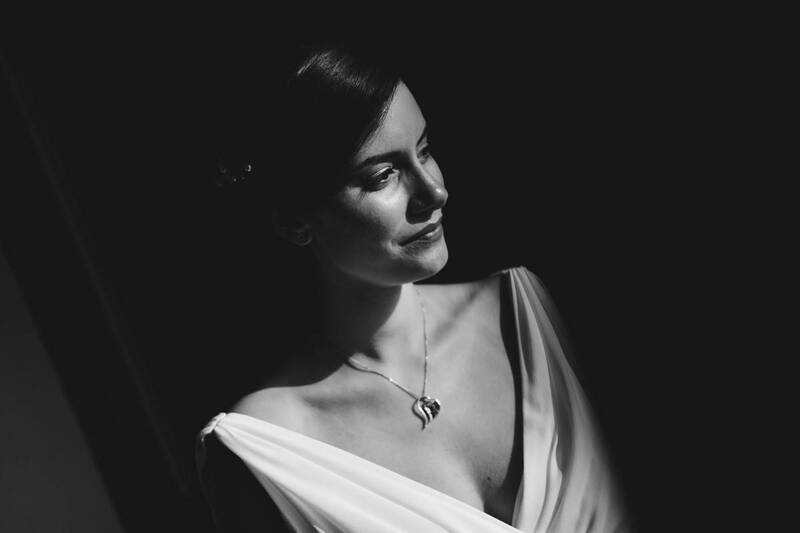 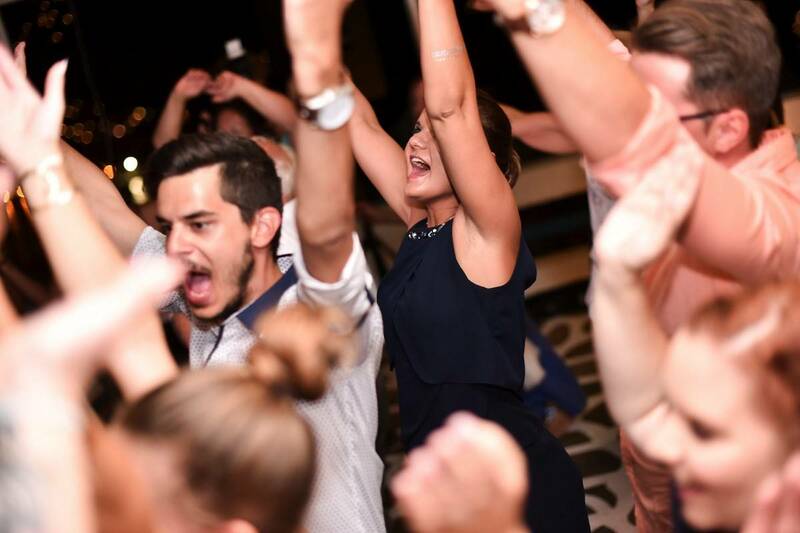 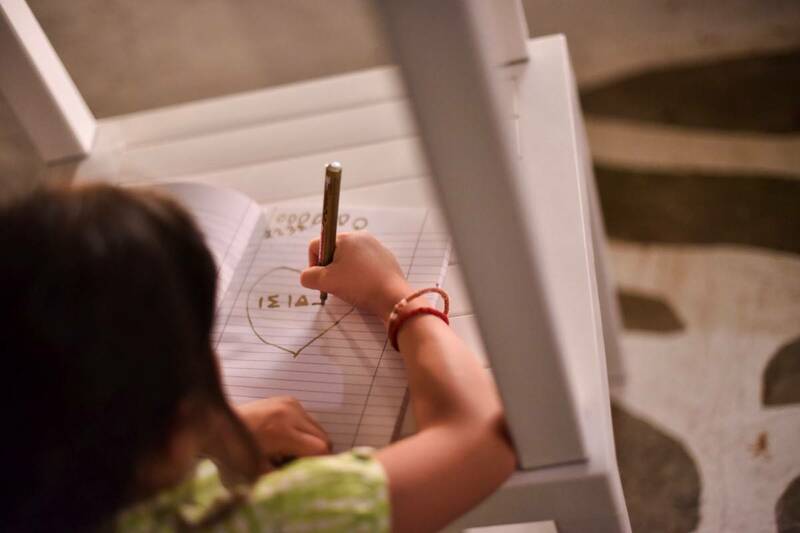 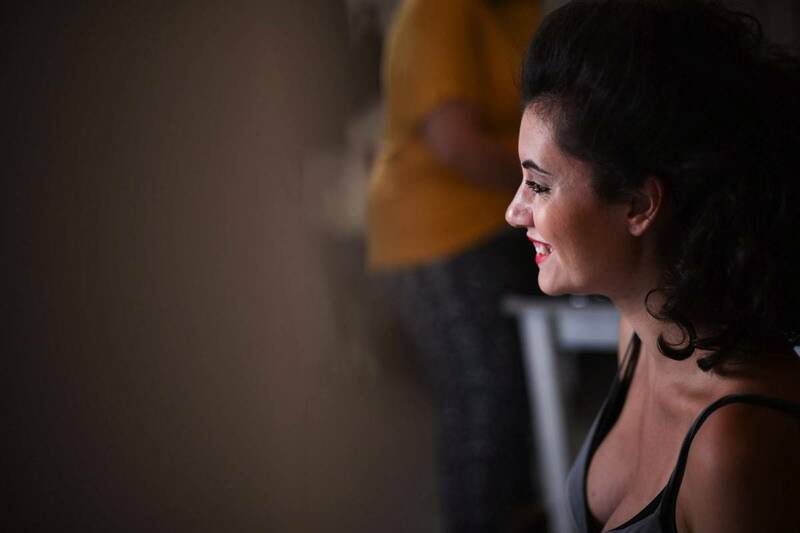 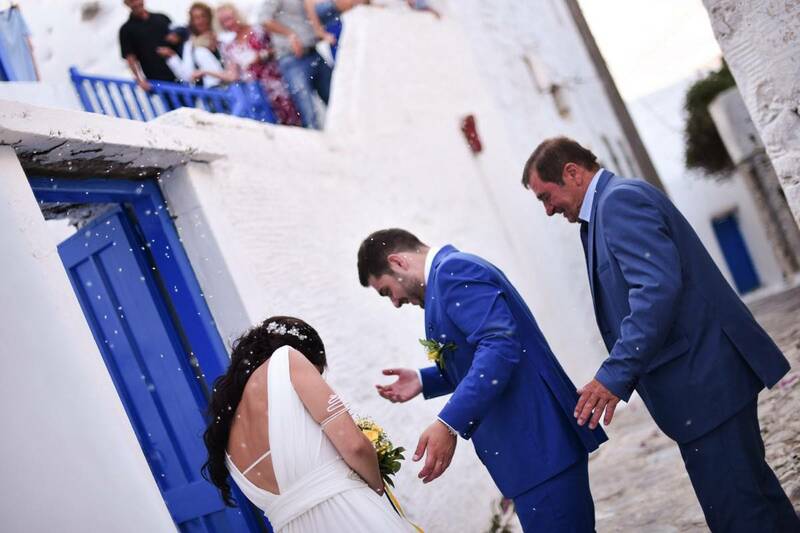 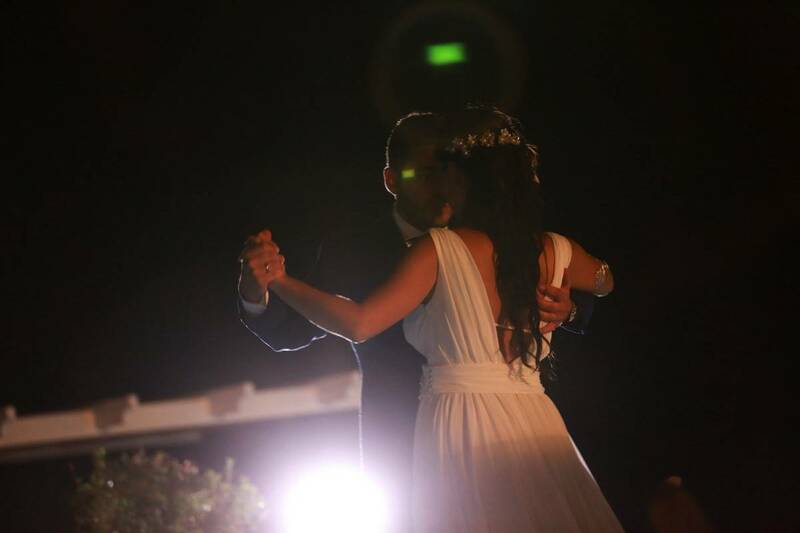 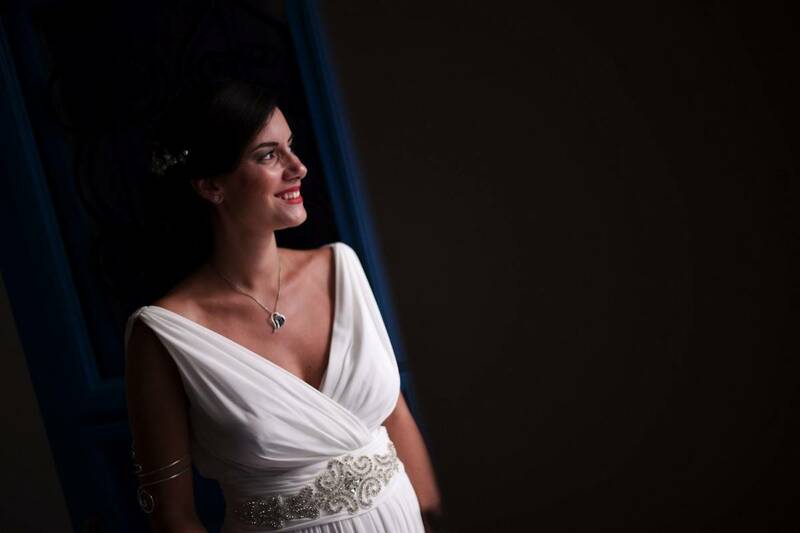 Sakis and Konstantina, at such a precious moment in their intertwined life and awaiting their first child, designed a wedding event that had it all. 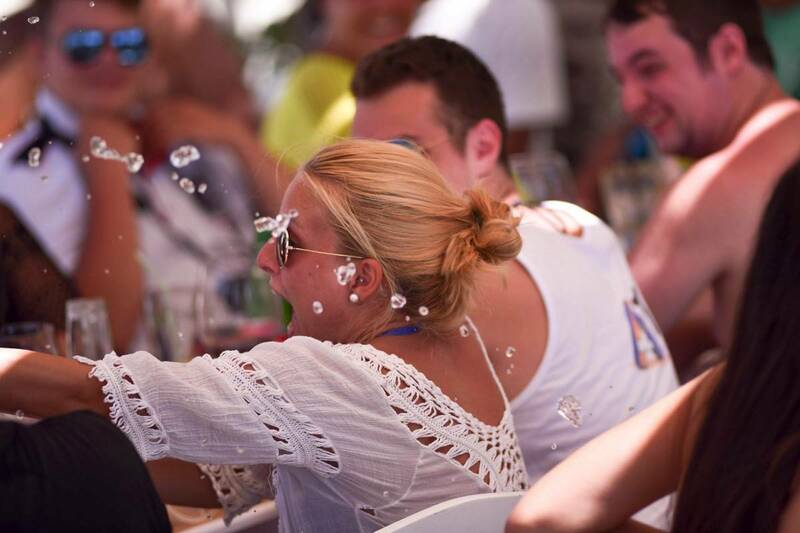 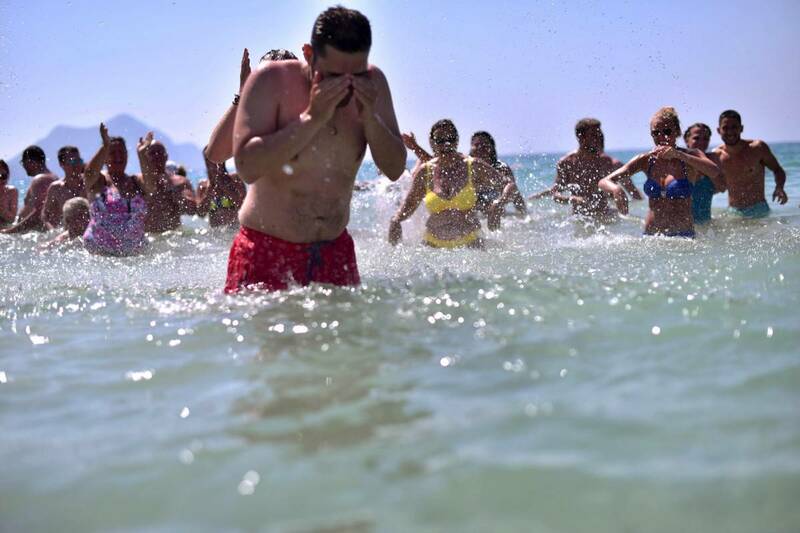 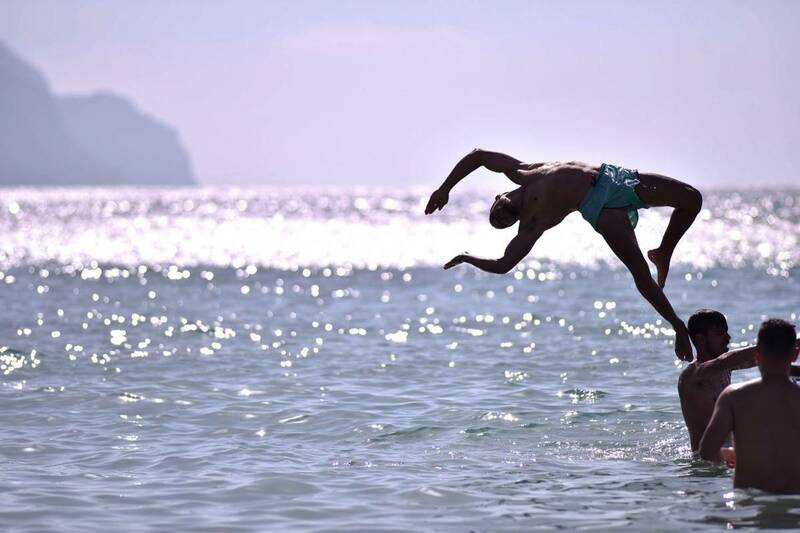 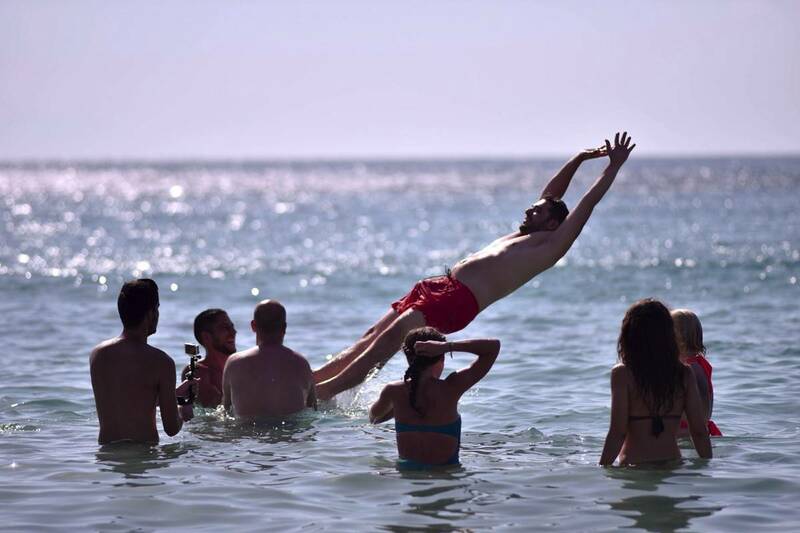 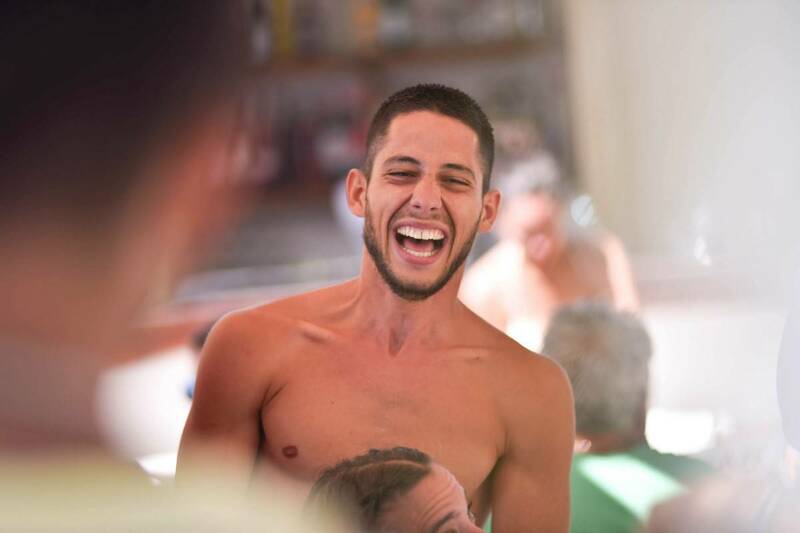 Swimming and diving fun in the sea during the pre-wedding afternoon beach party, broad smiles and for a traditional touch – typical of every island wedding – musicians accompanying the bride to church creating a truly unique and unforgettable moment. 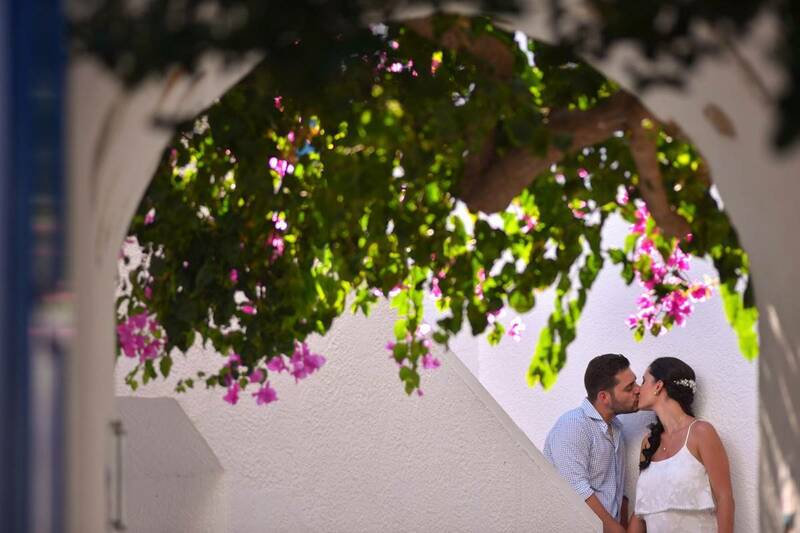 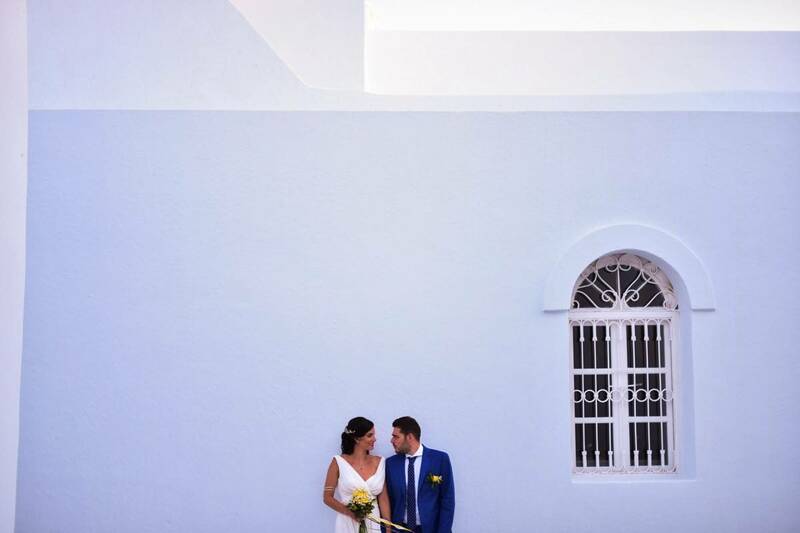 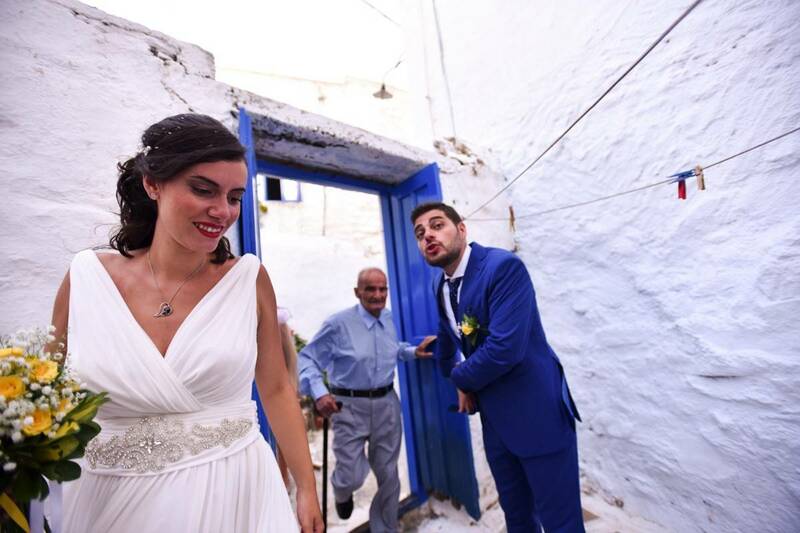 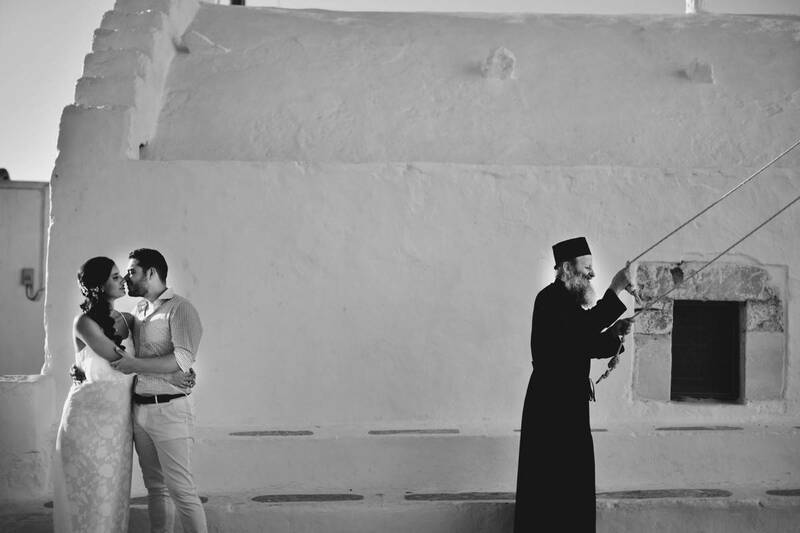 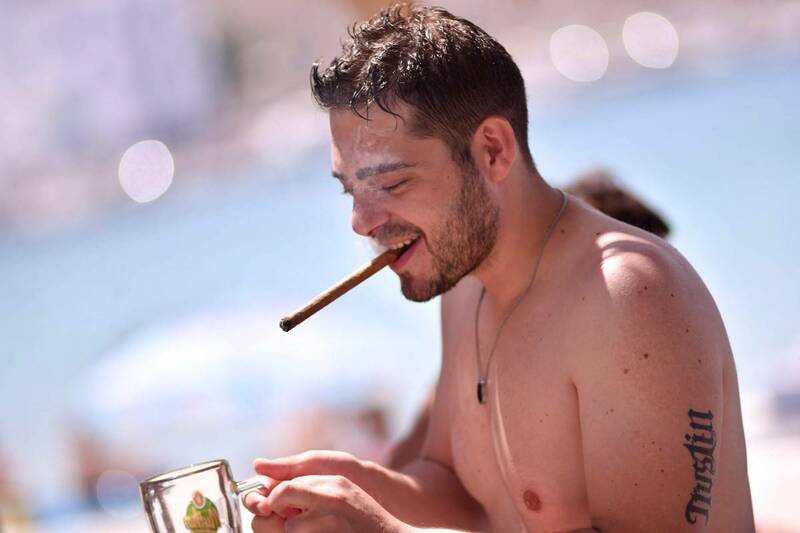 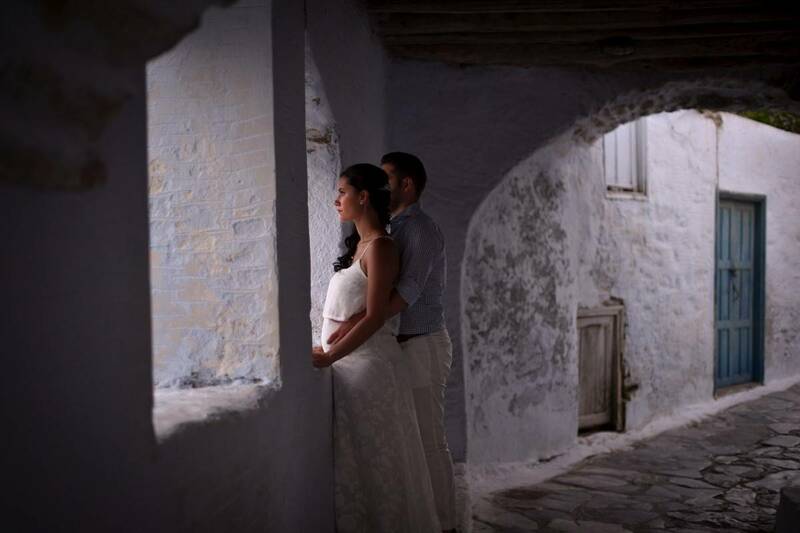 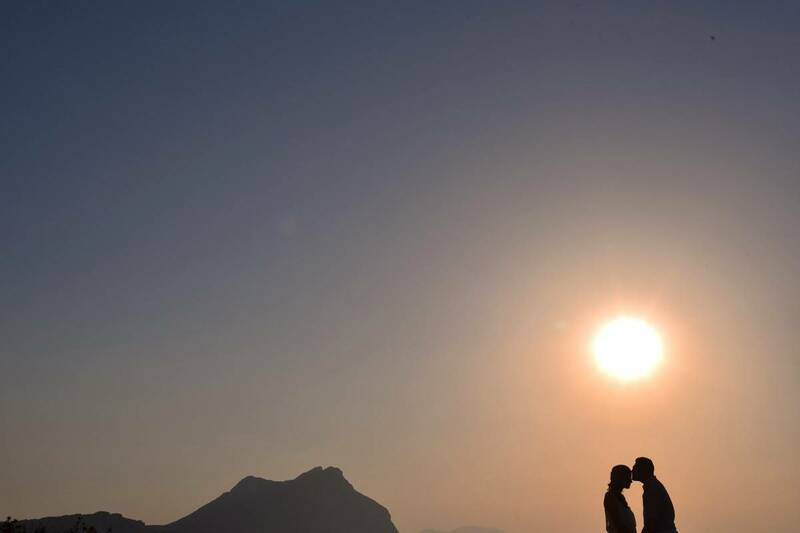 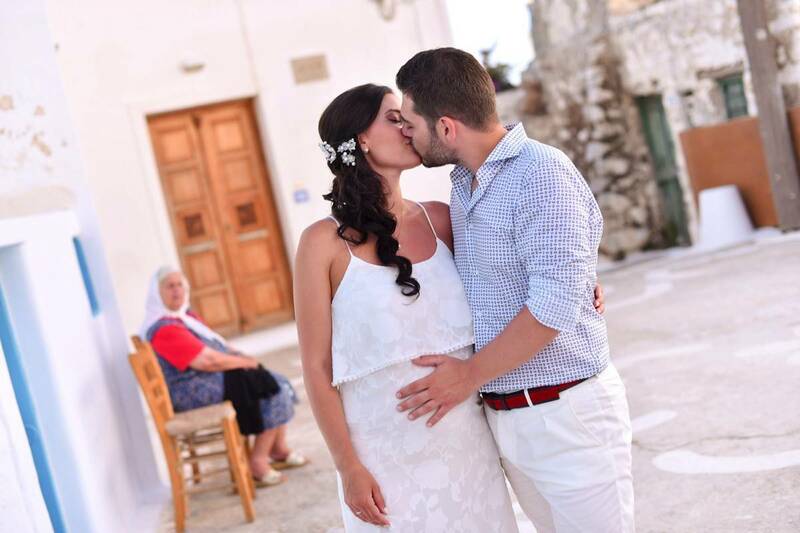 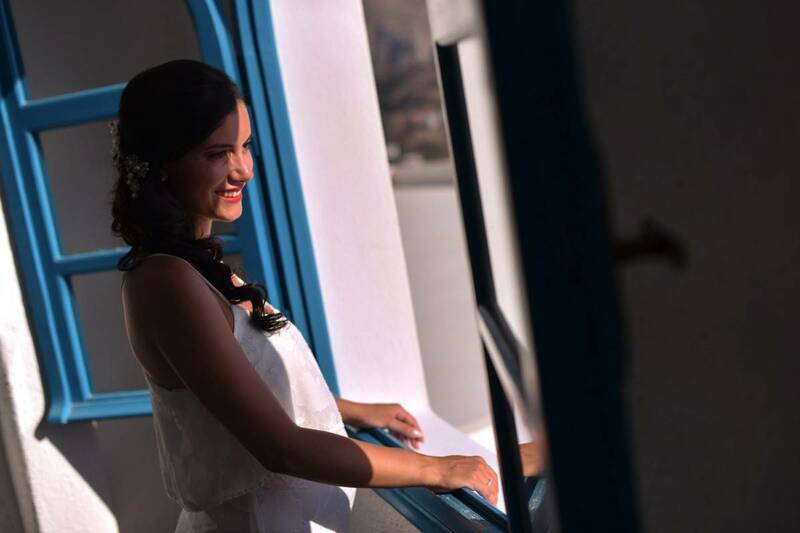 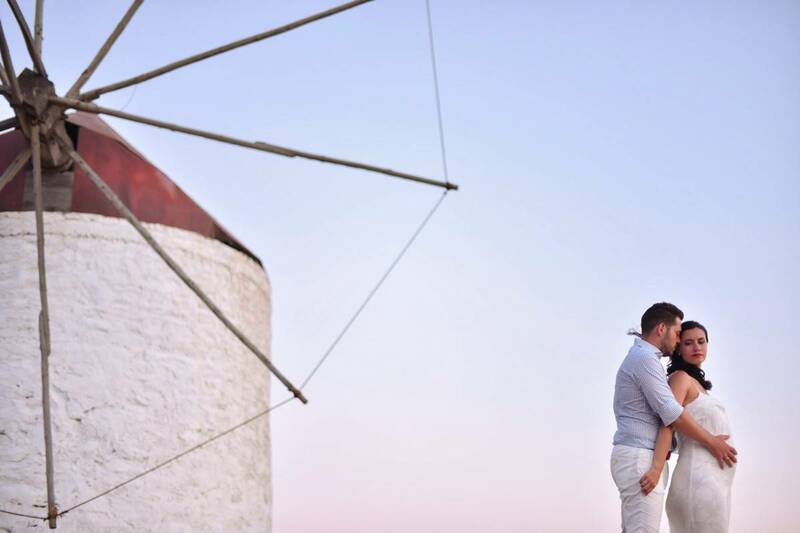 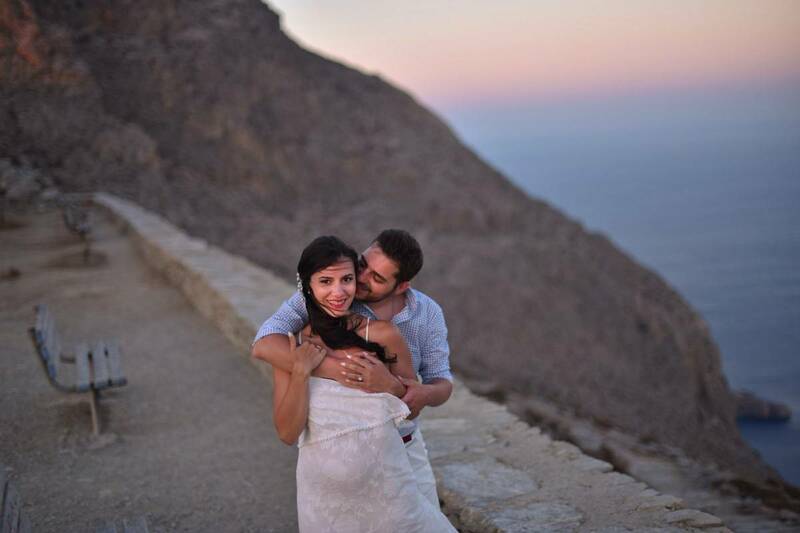 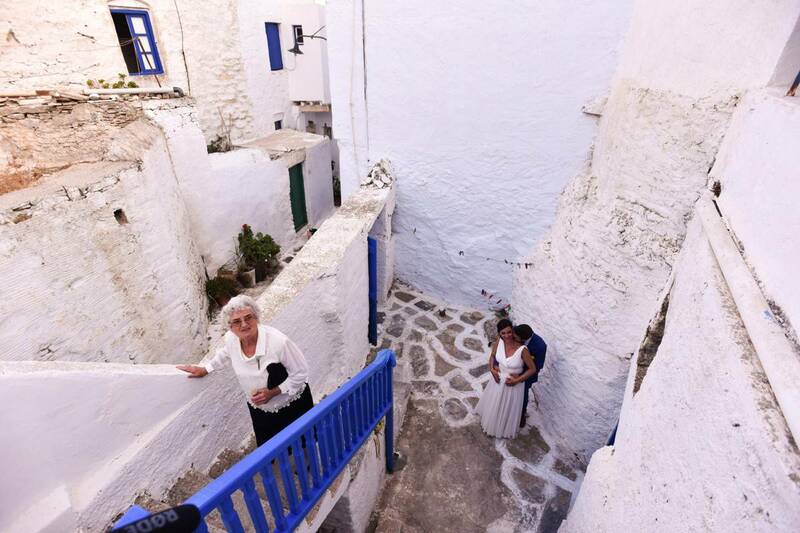 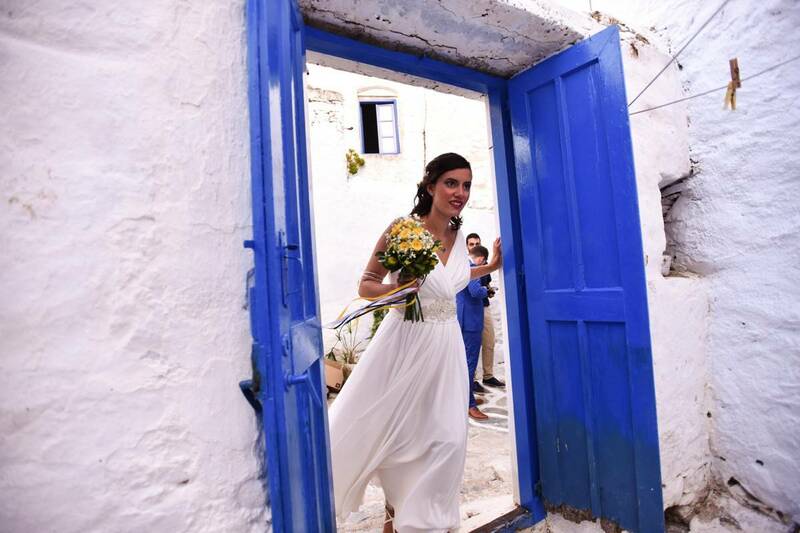 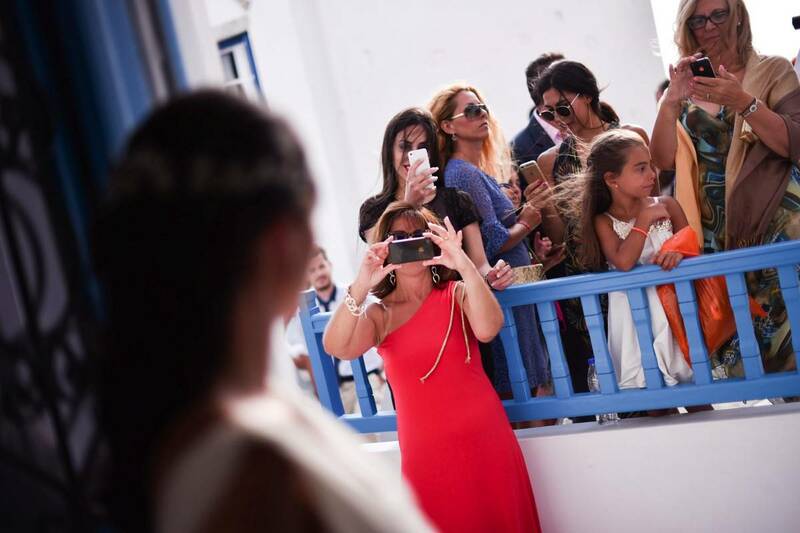 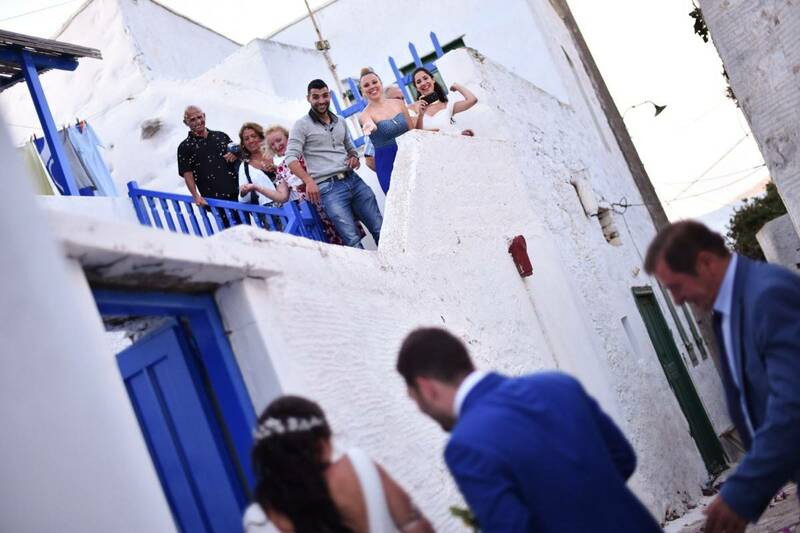 At such a precious time in one’s life, along with welcoming a new born baby, the only thing you need to capture at that moment are the newlyweds completely in love against a Cycladic backdrop of whitewashed dwellings and a post wedding photo shoot where the groom caresses the belly of his bride. 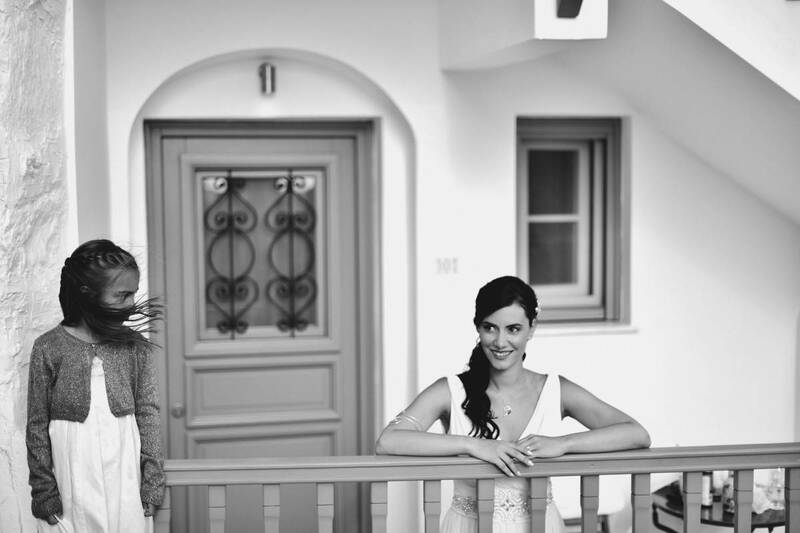 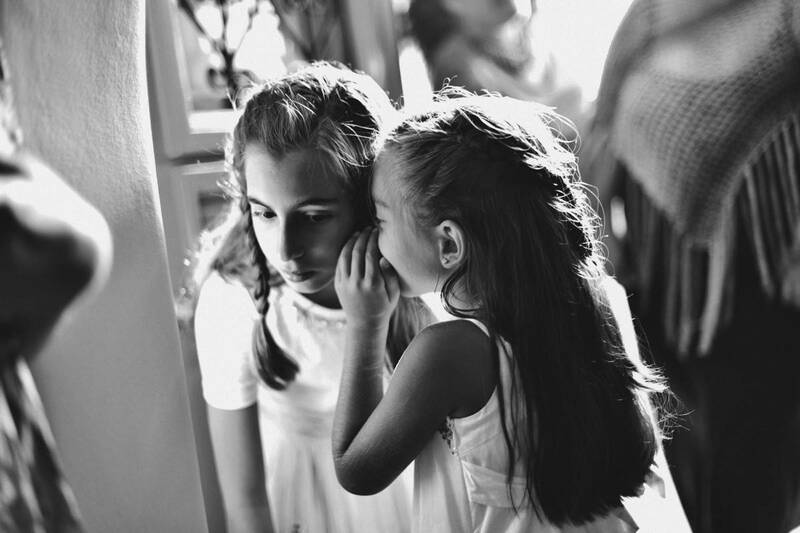 This results in the most perfect wedding album full of fairytale snapshots.